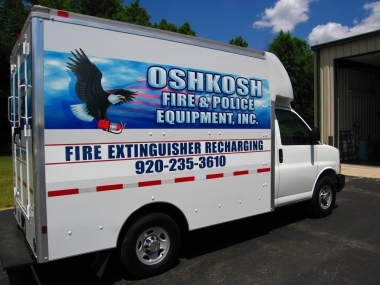 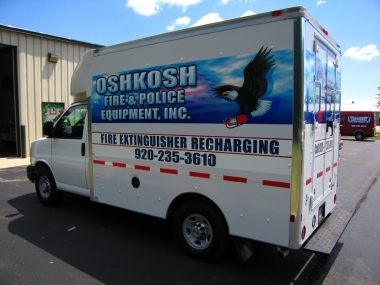 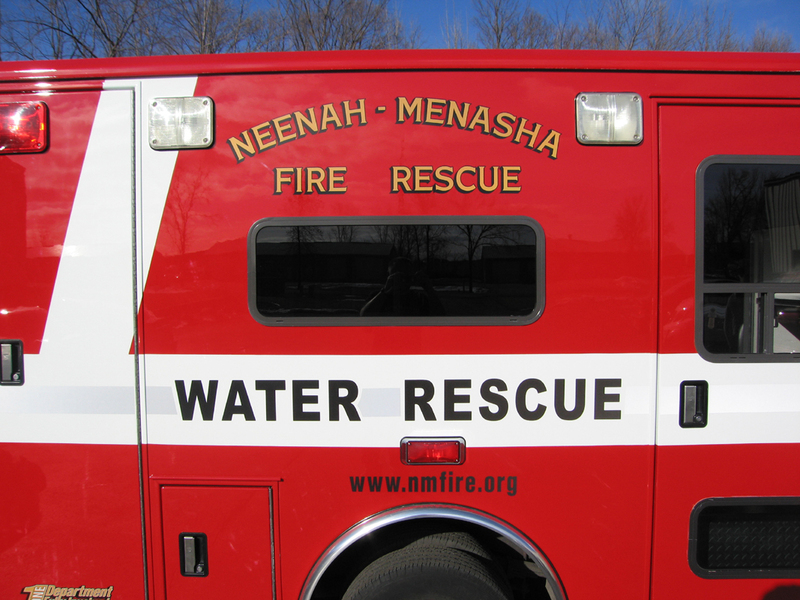 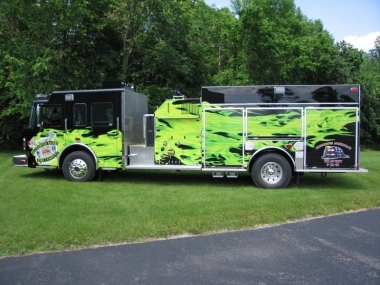 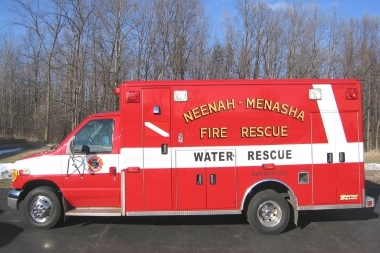 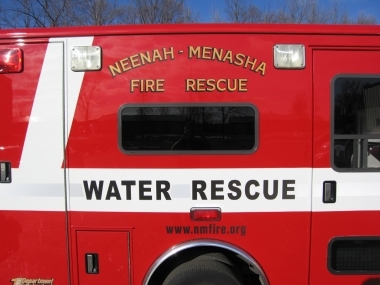 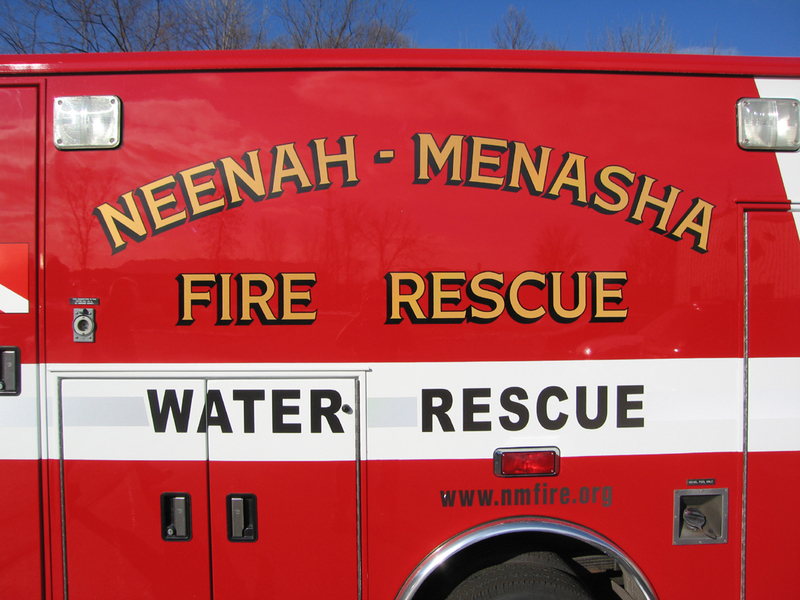 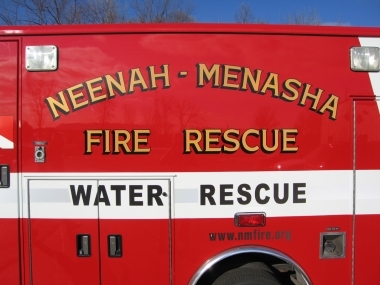 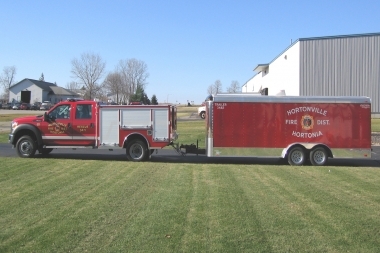 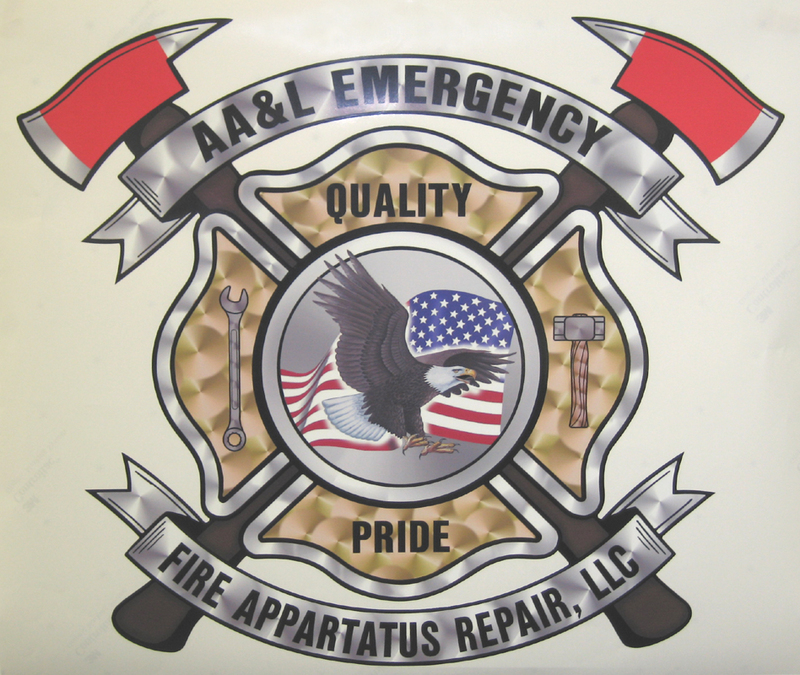 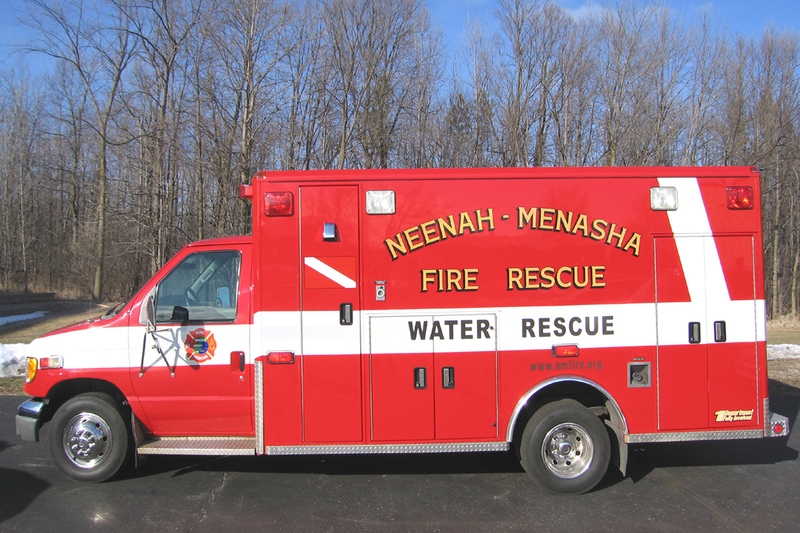 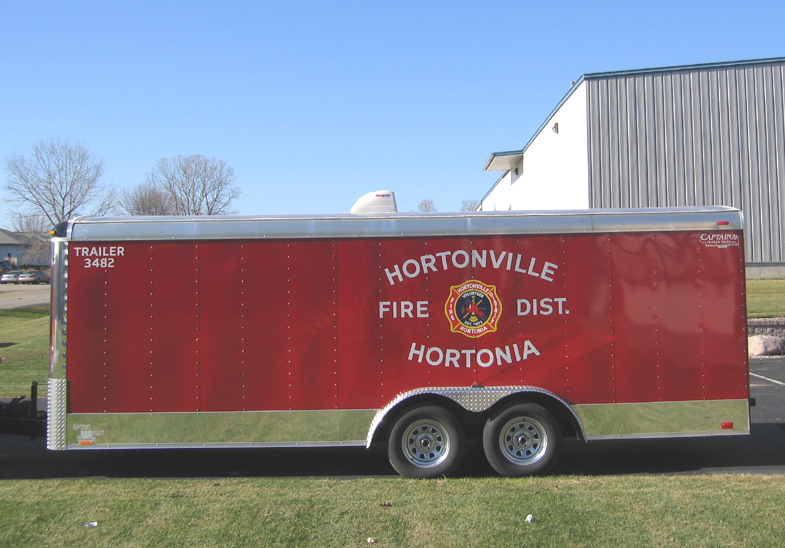 Fire & Emergency Vehicle Graphics Appleton, WI, Fire & Emergency Vehicle Graphics State of Wisconsin, Fire & Emergency Vehicle Graphics Green Bay | RJ Marx Custom Graphics, Inc.
RJ Marx Custom Graphics made our name in applying custom graphics to fire and emergency vehicles. 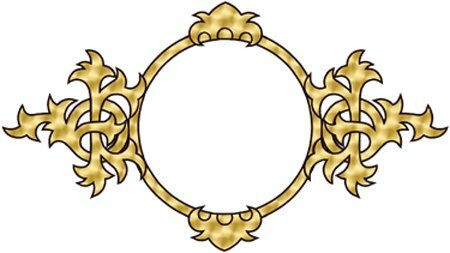 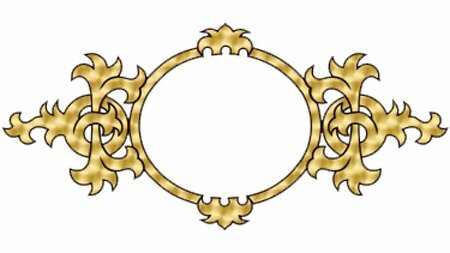 For durability, look and feel, and a symbol of excellence, there is nothing in the world that speaks the way gold leaf does. 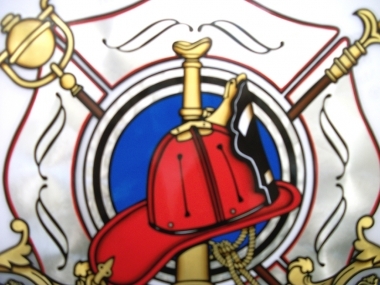 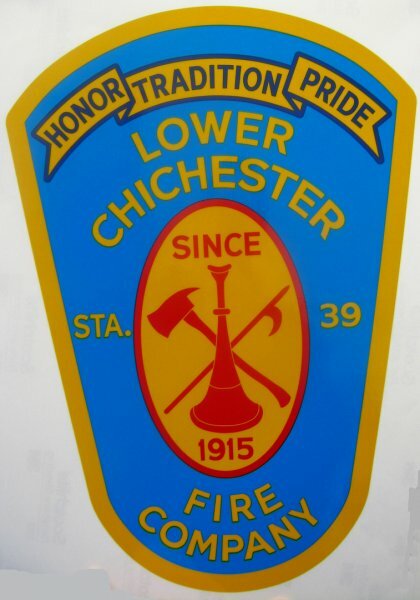 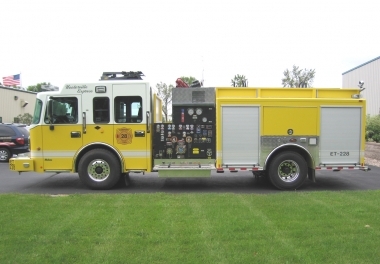 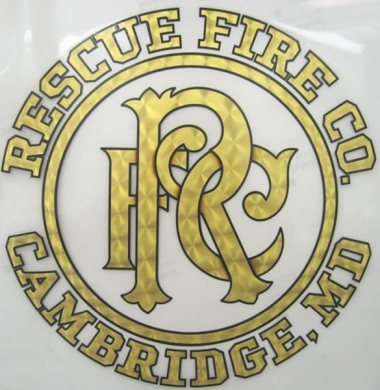 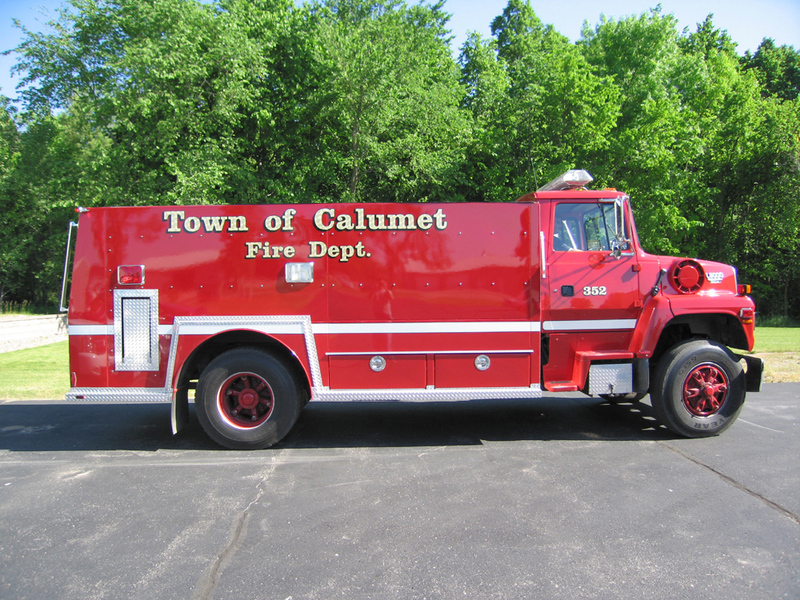 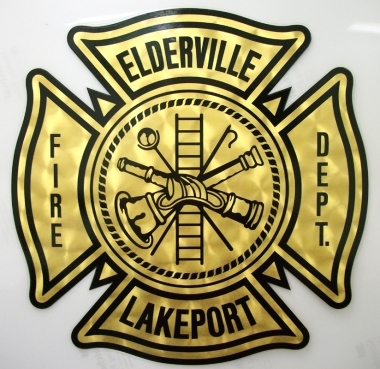 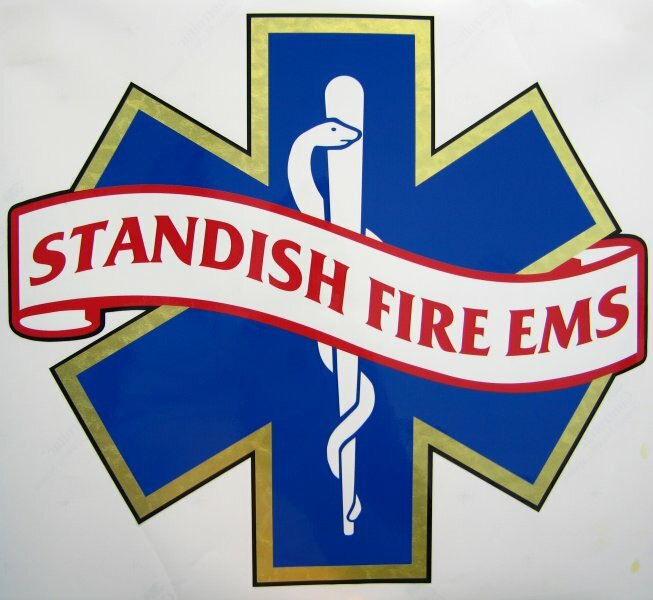 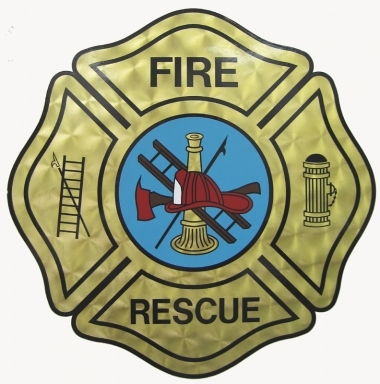 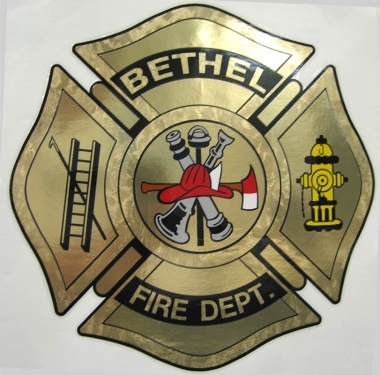 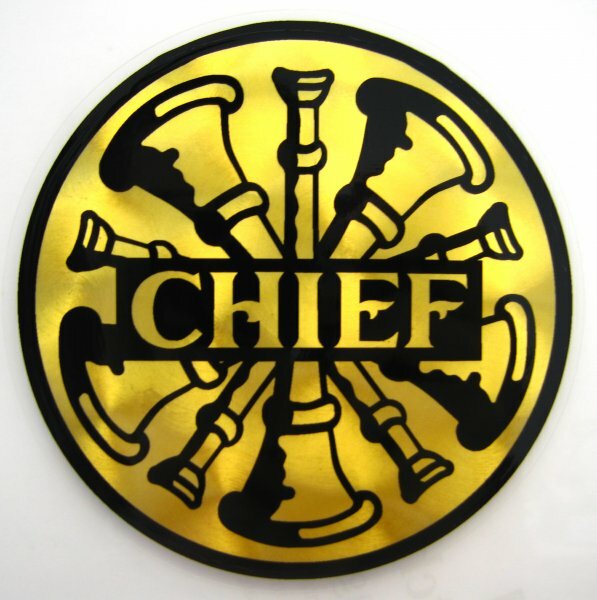 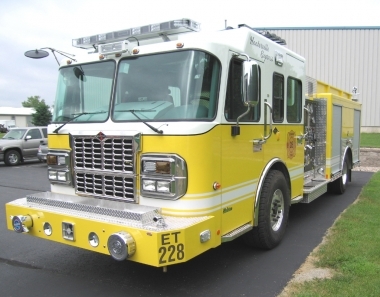 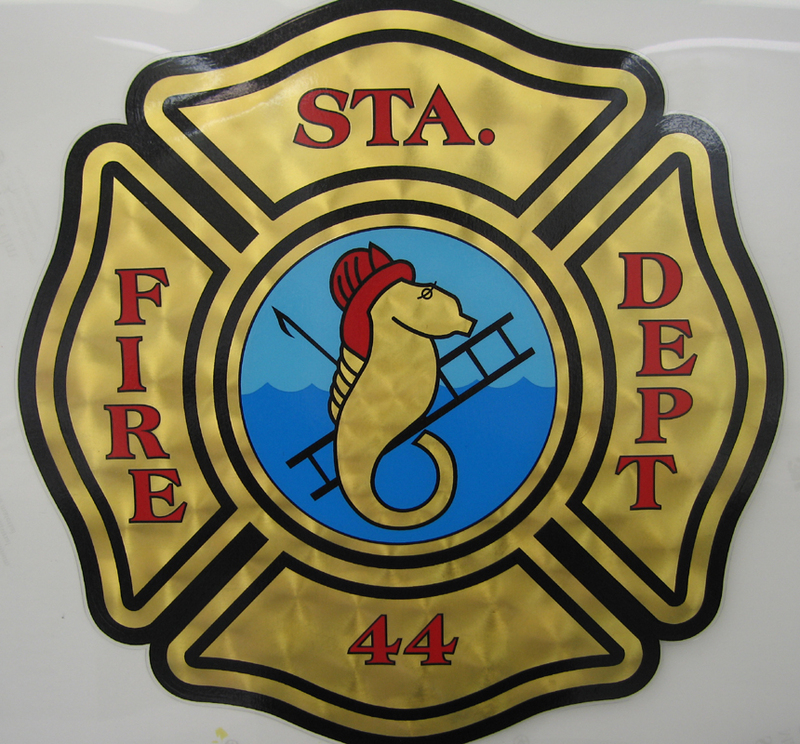 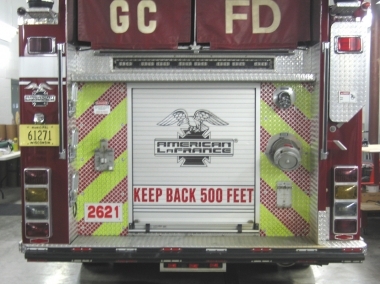 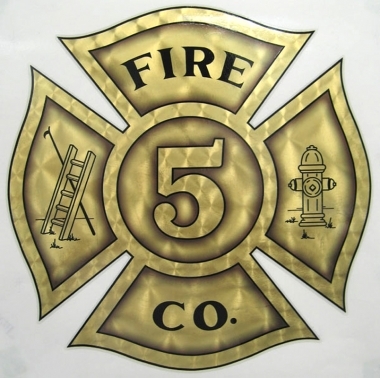 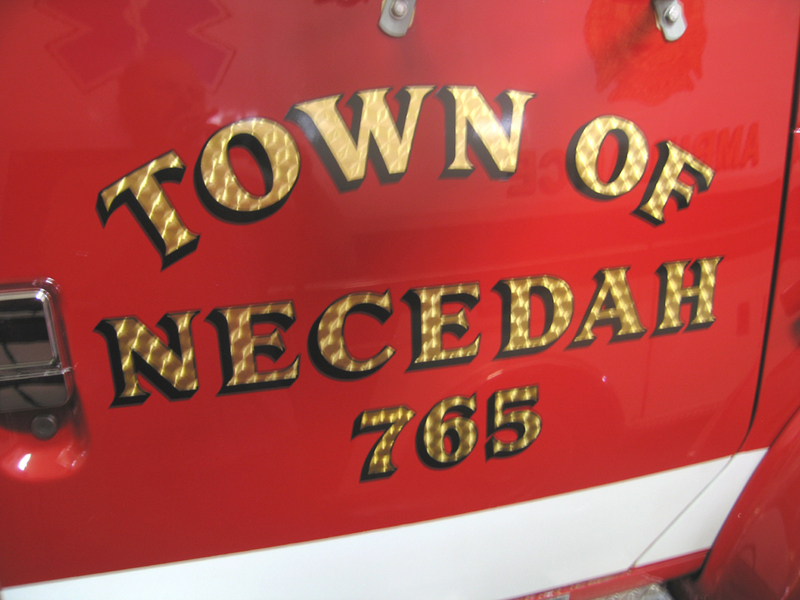 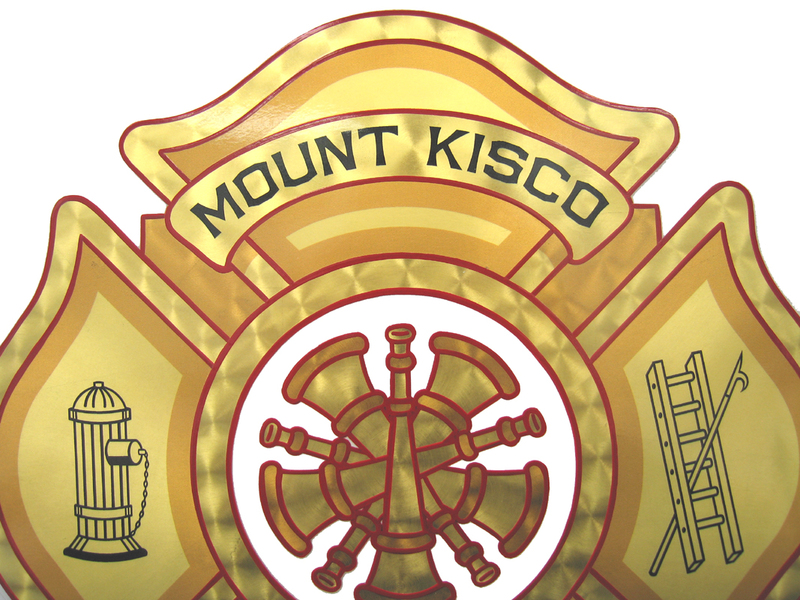 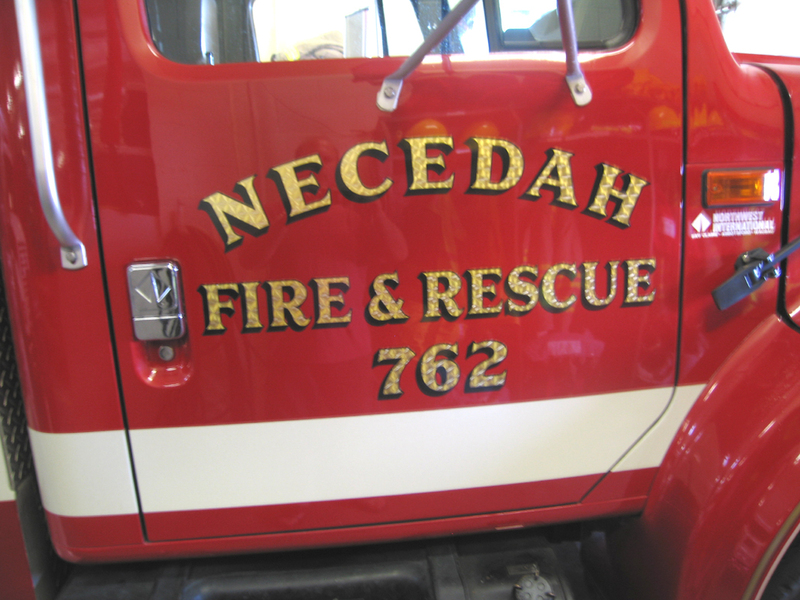 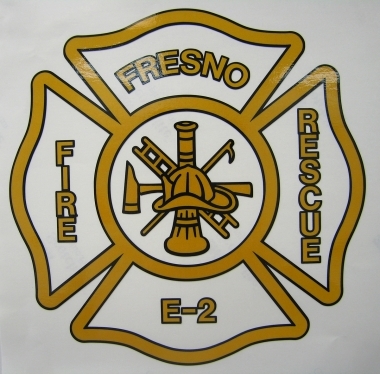 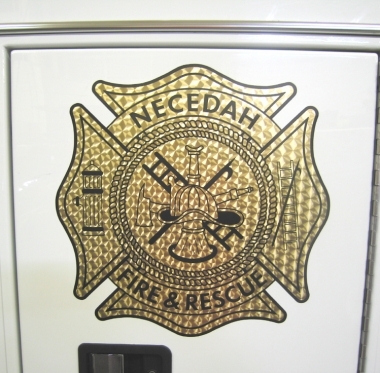 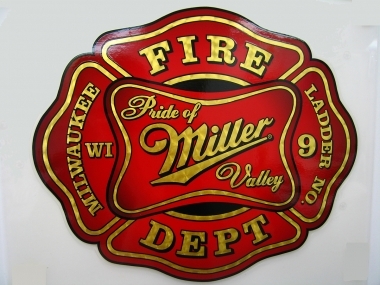 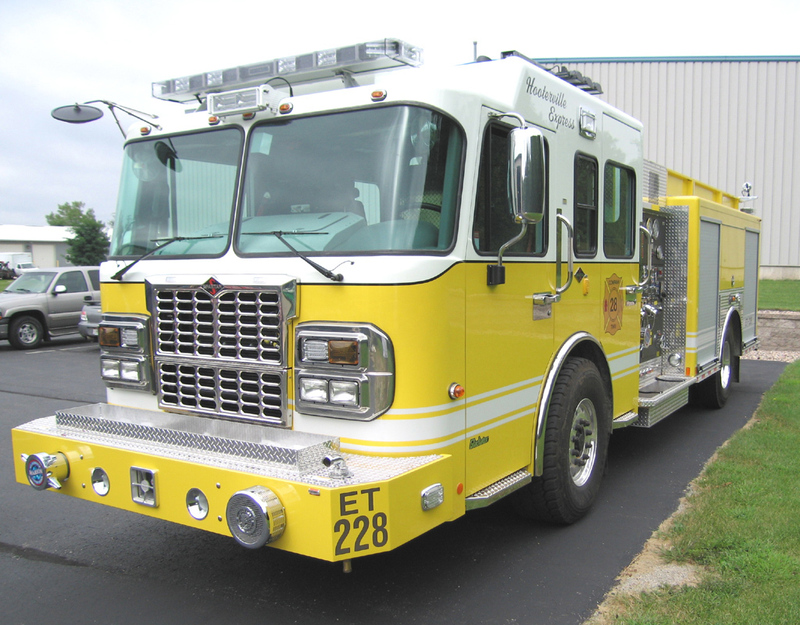 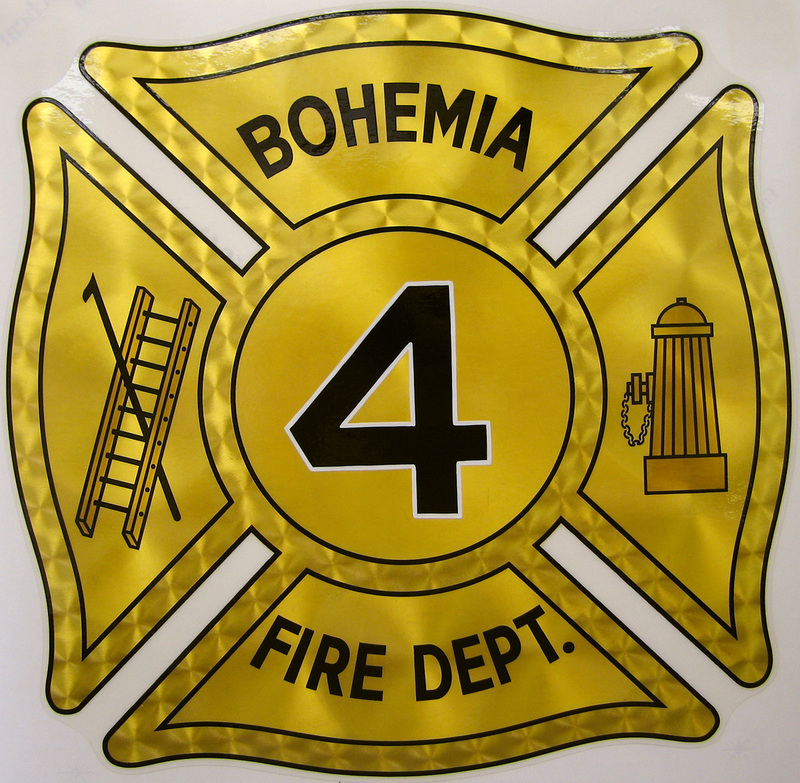 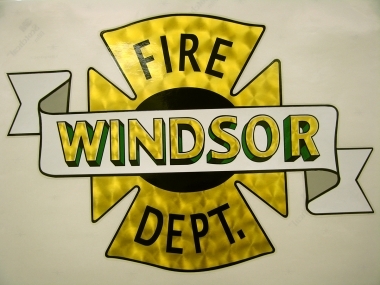 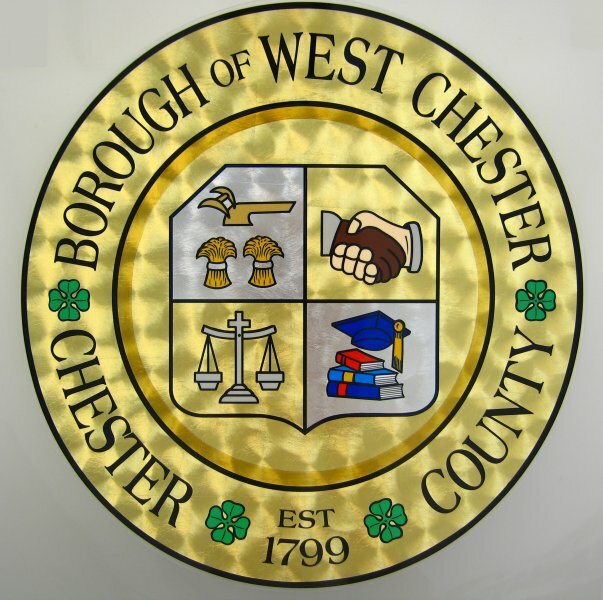 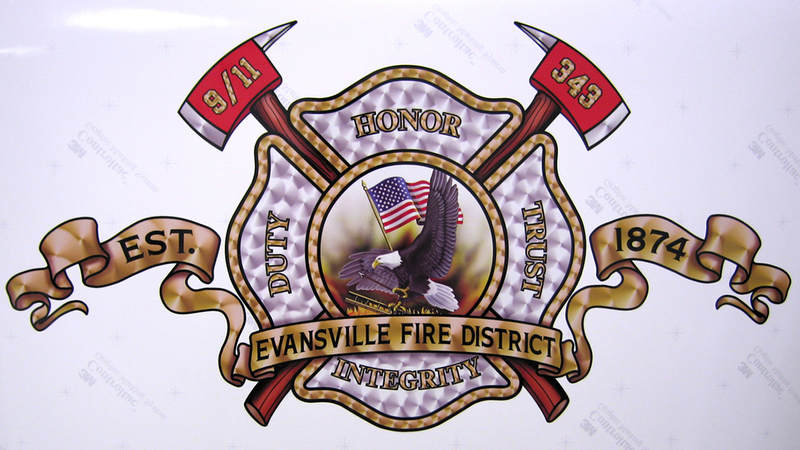 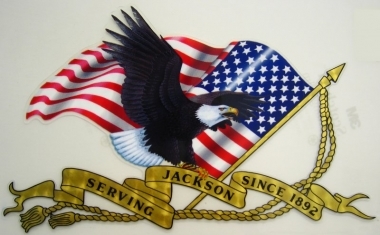 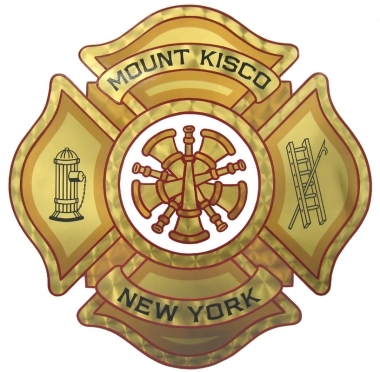 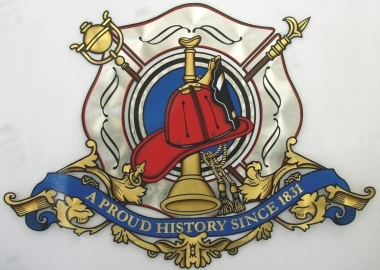 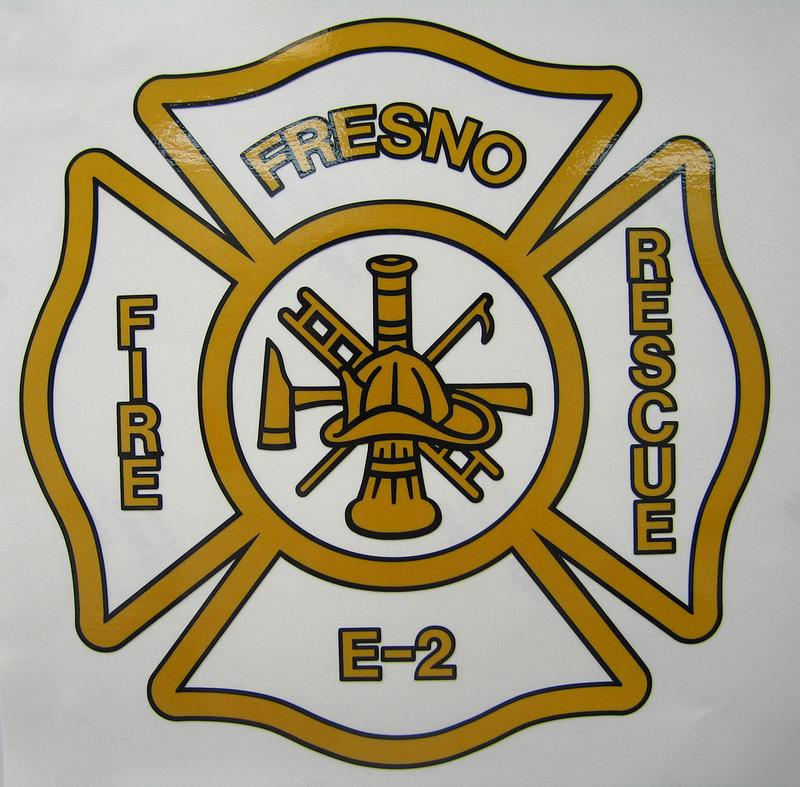 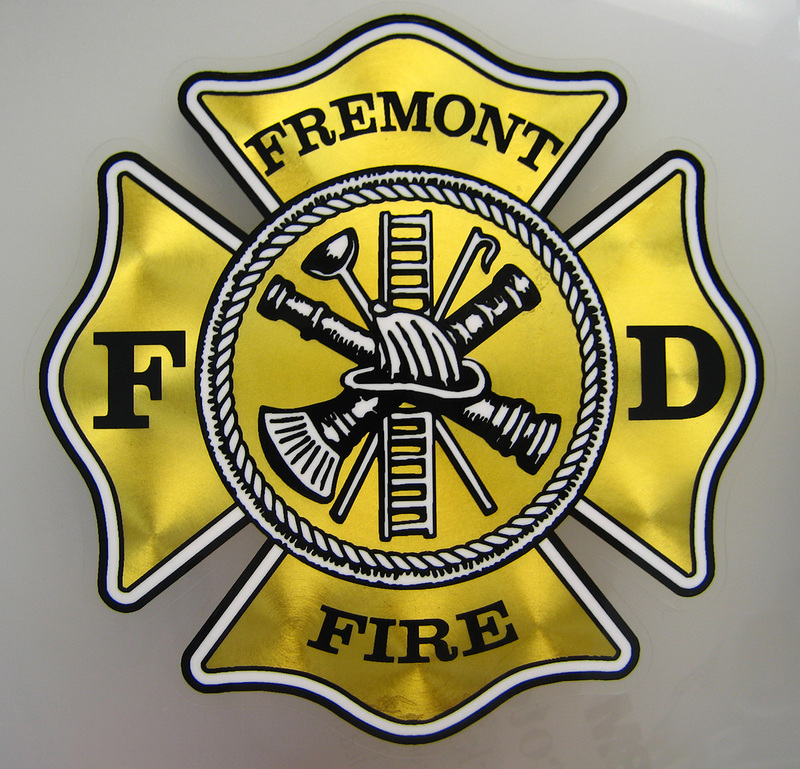 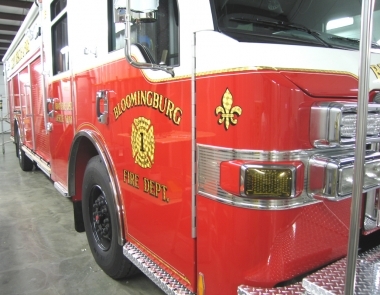 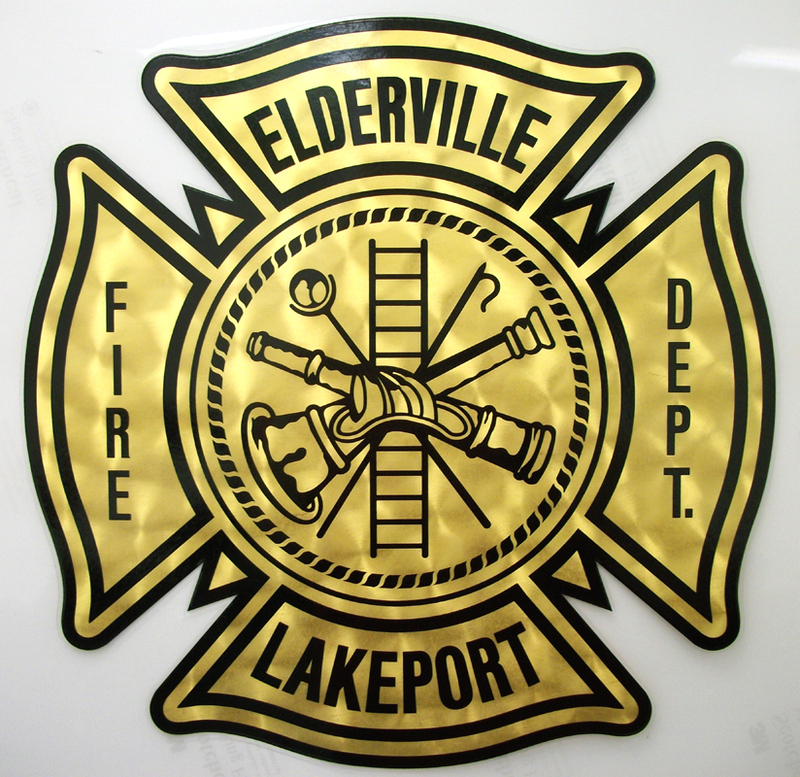 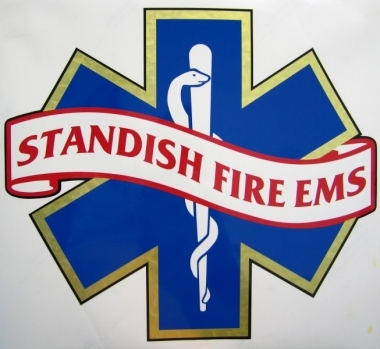 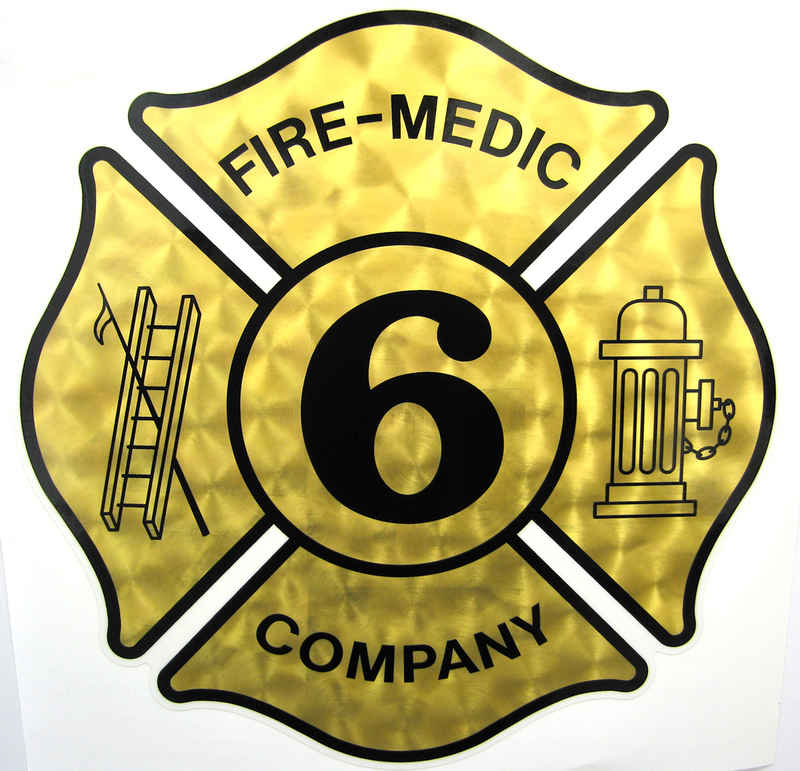 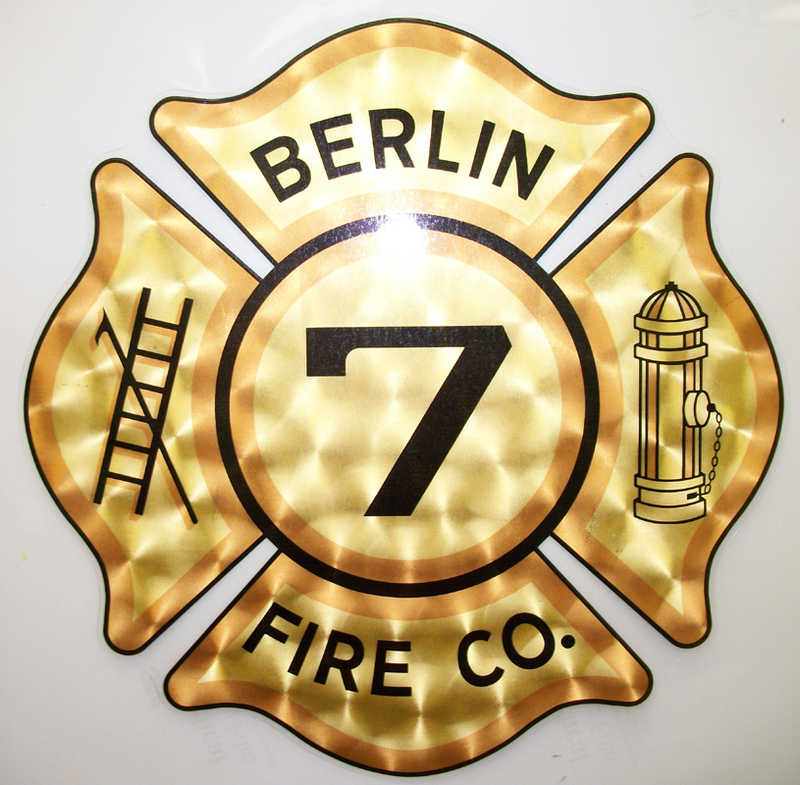 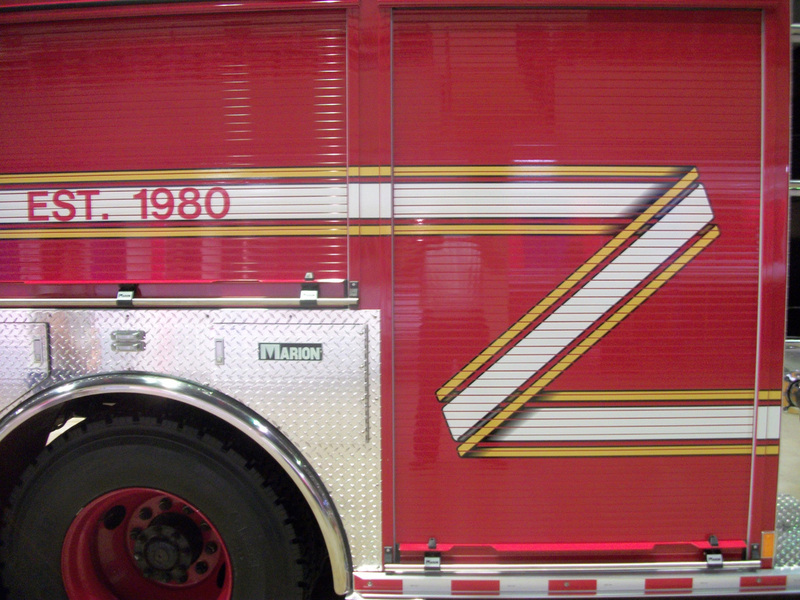 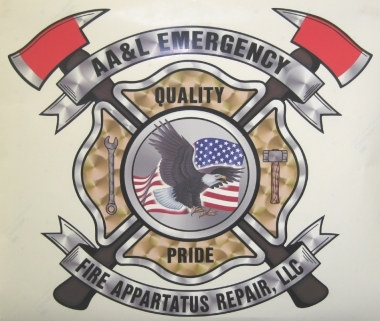 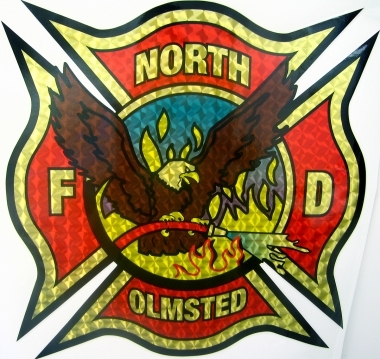 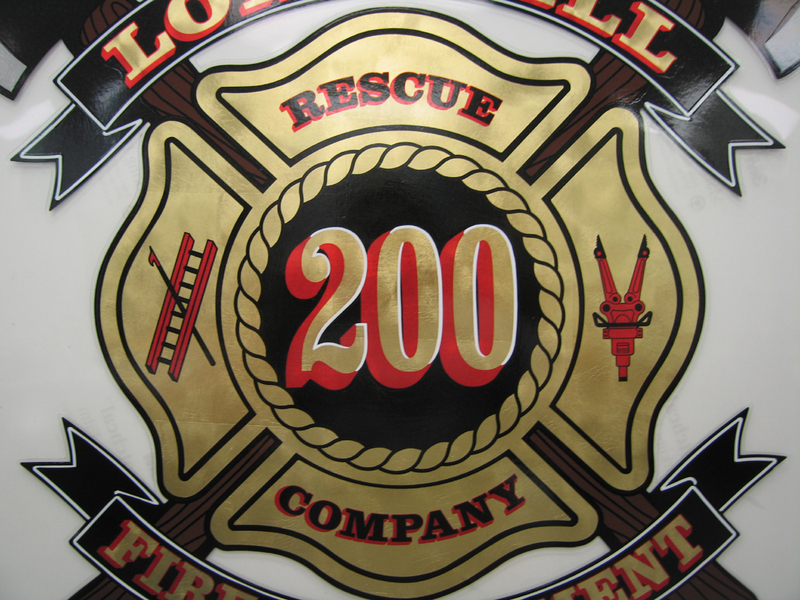 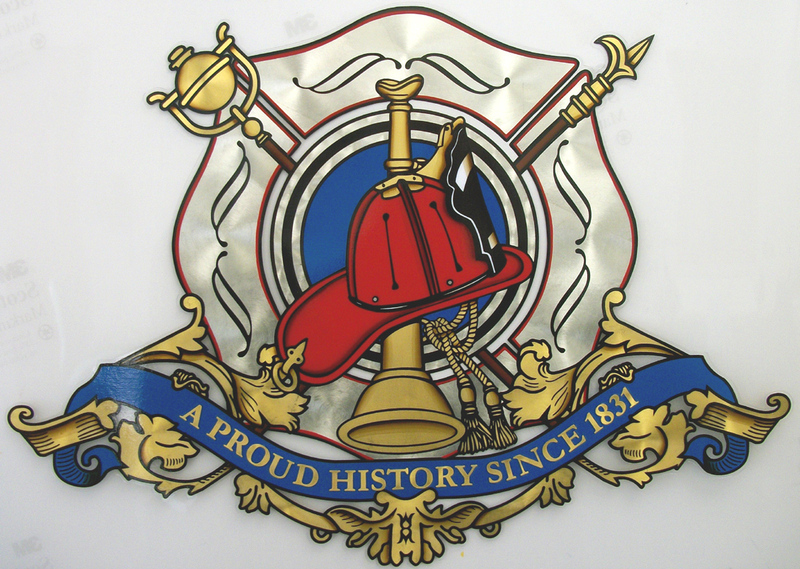 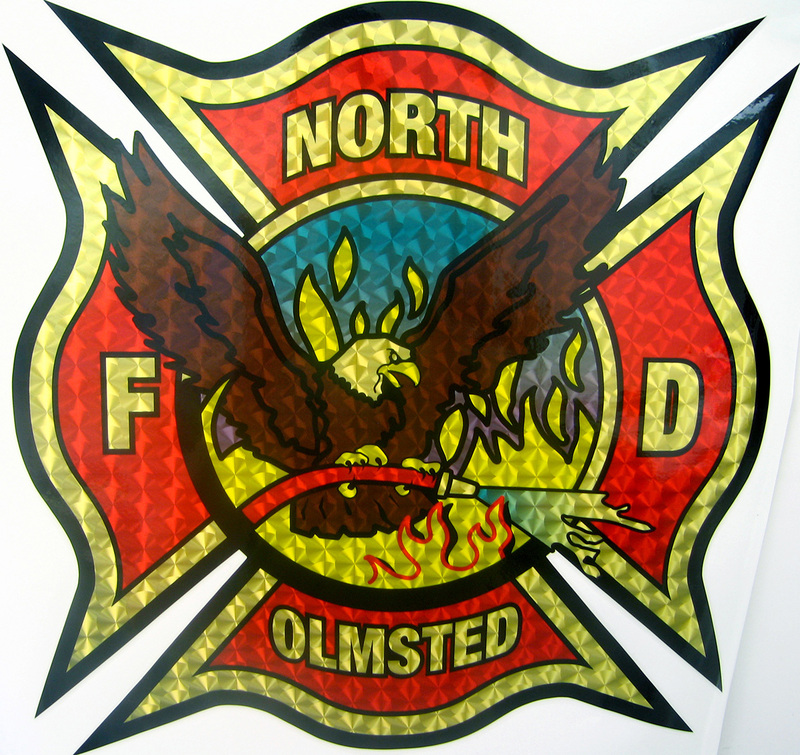 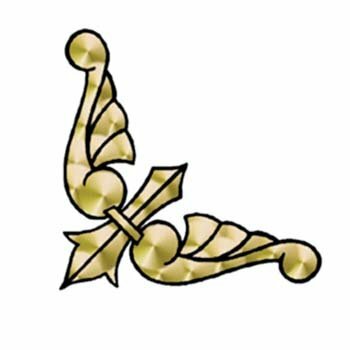 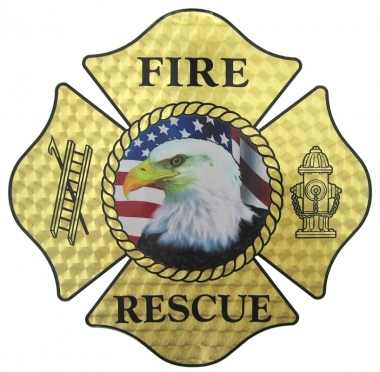 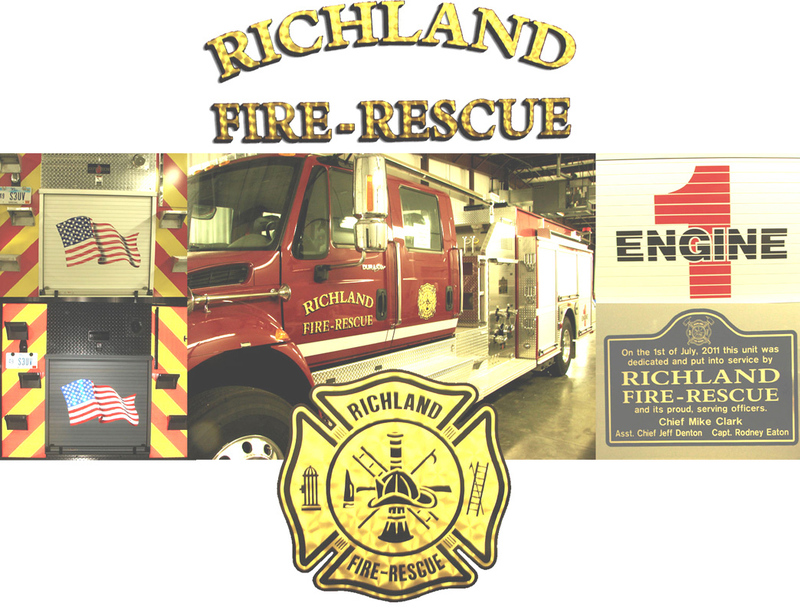 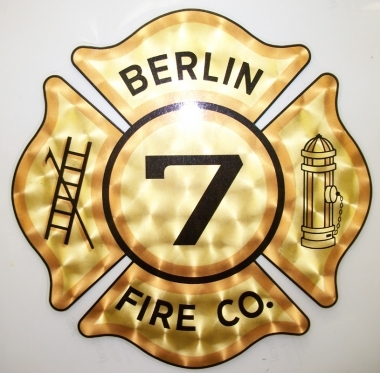 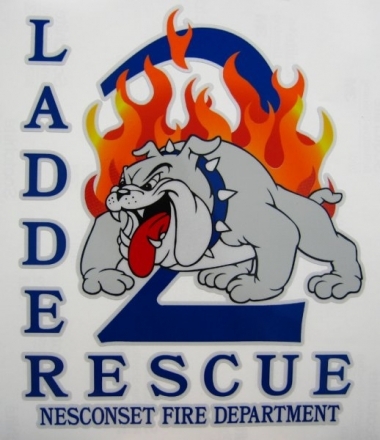 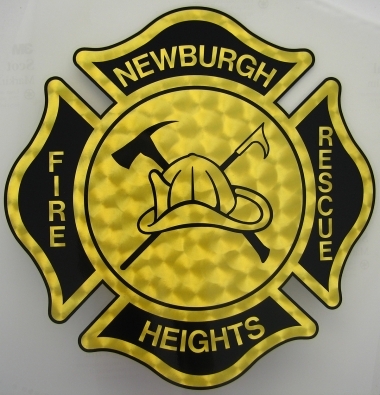 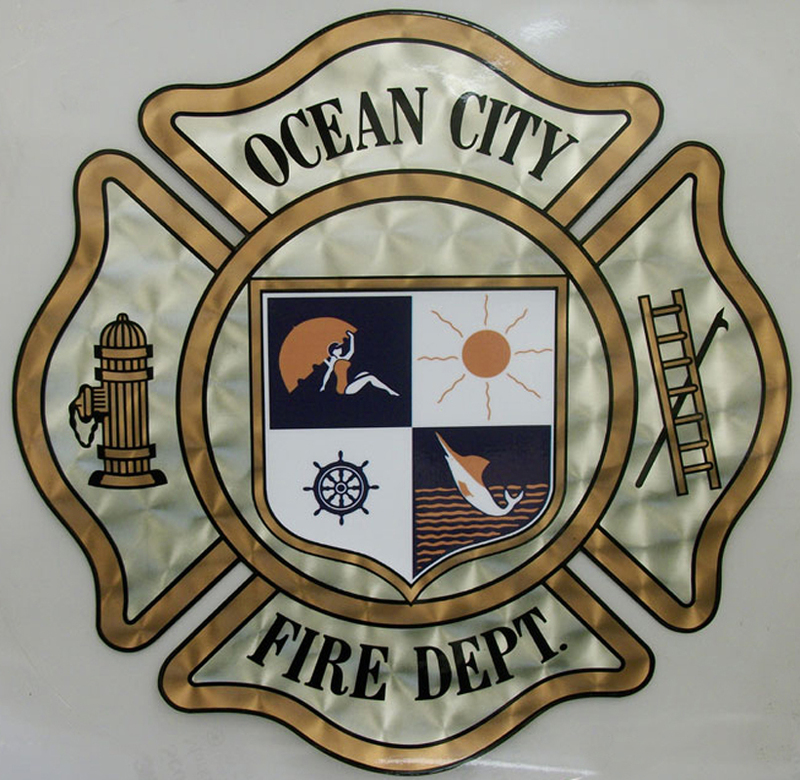 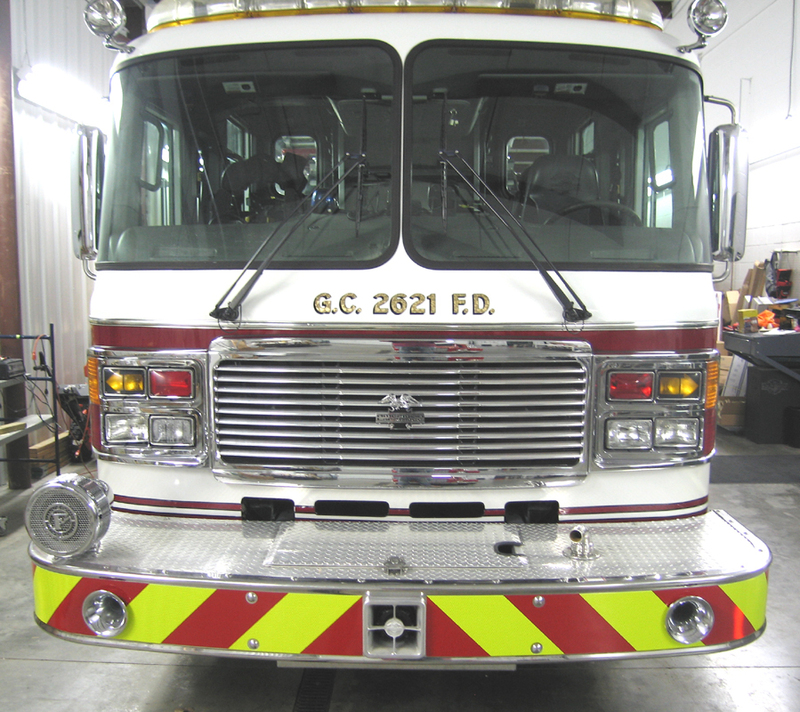 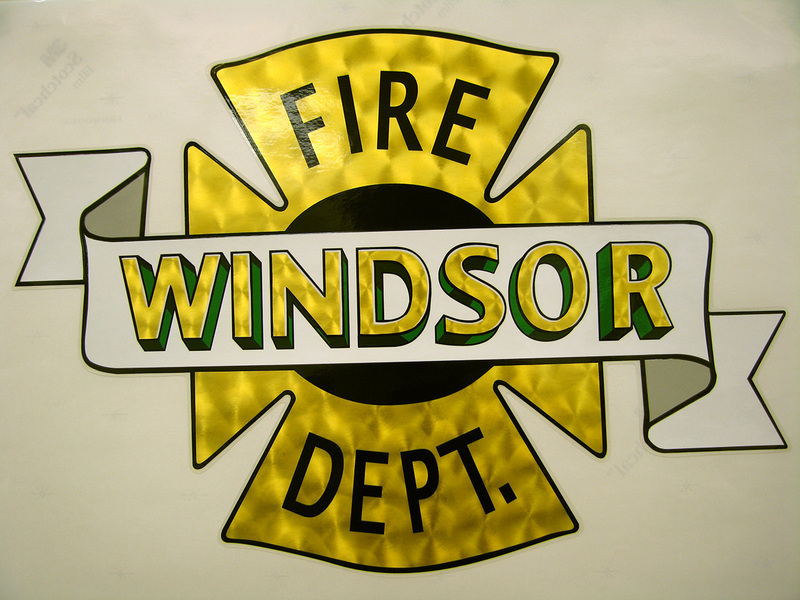 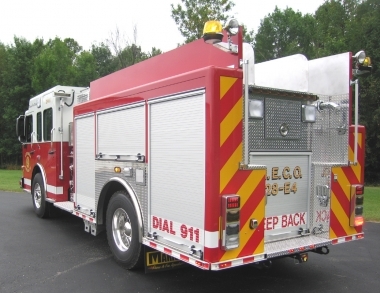 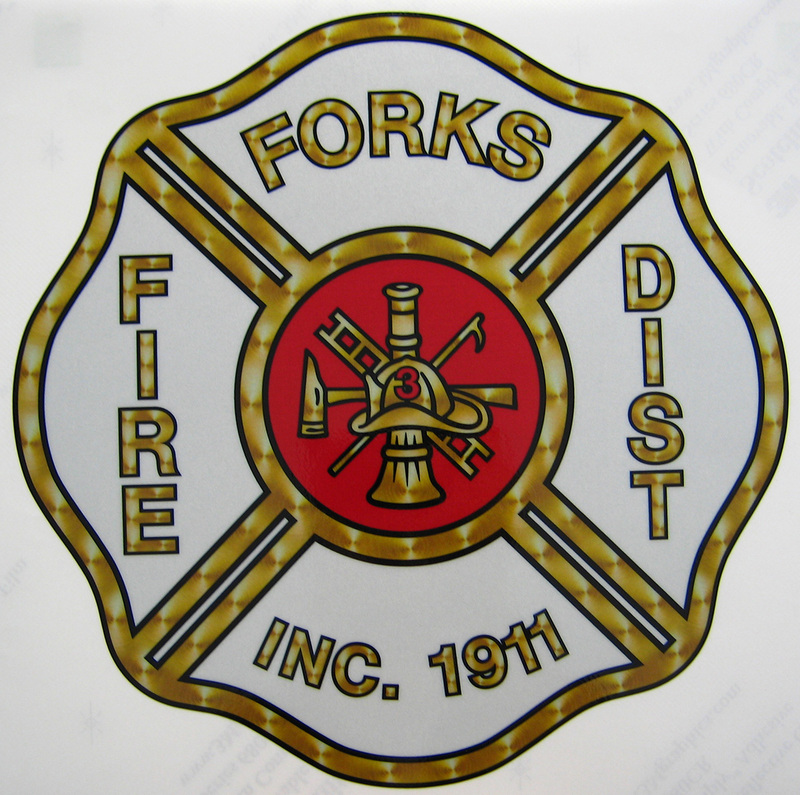 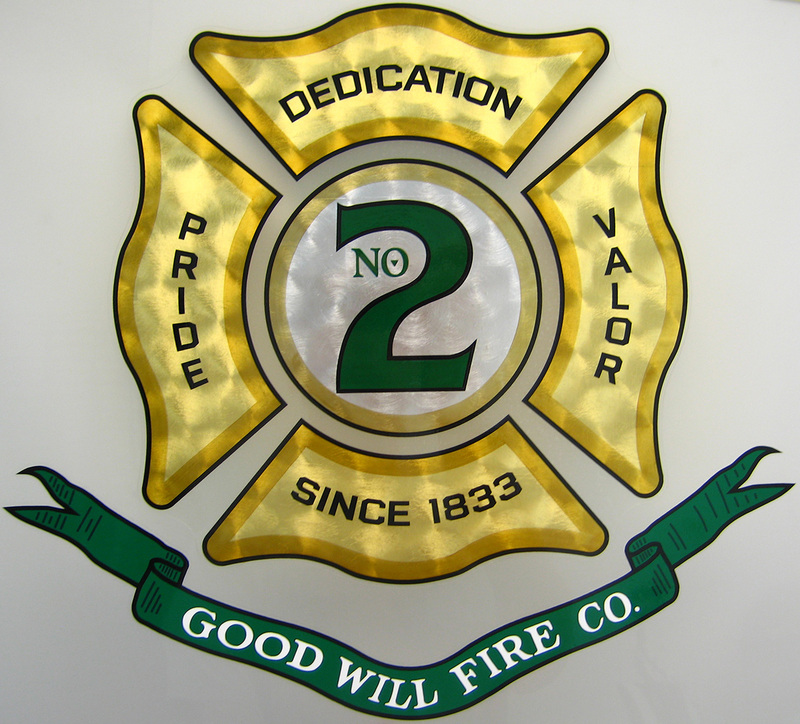 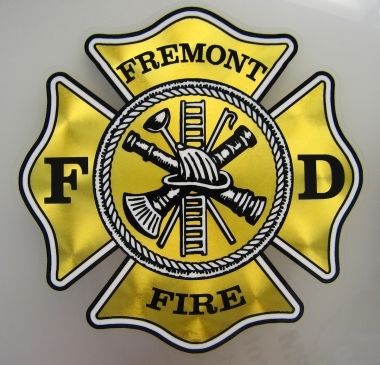 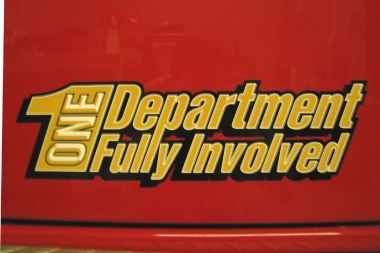 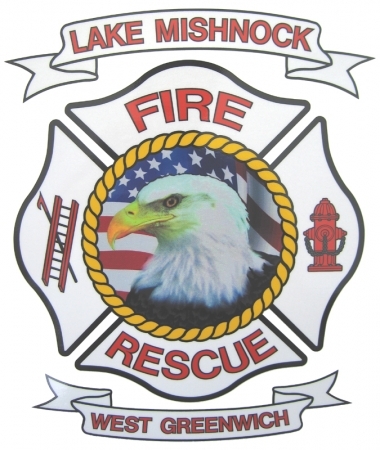 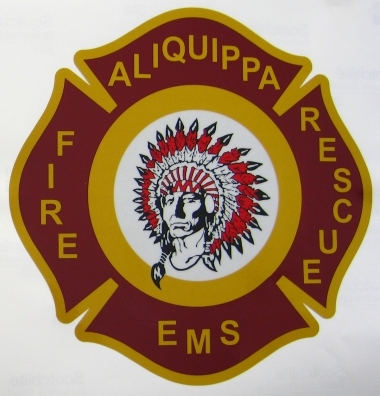 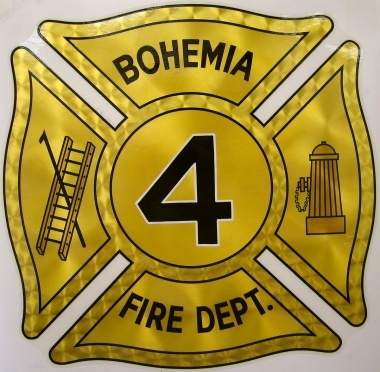 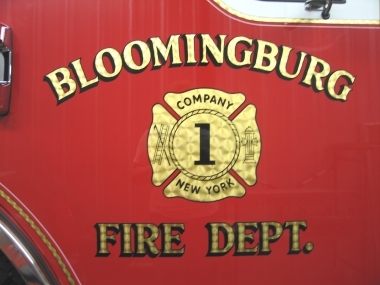 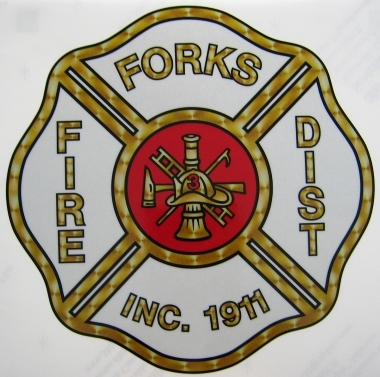 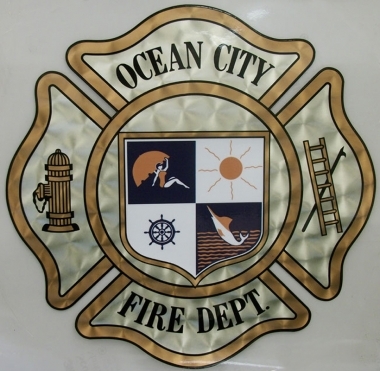 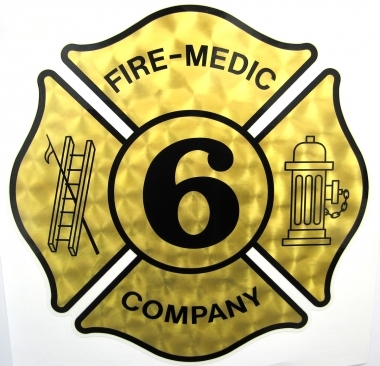 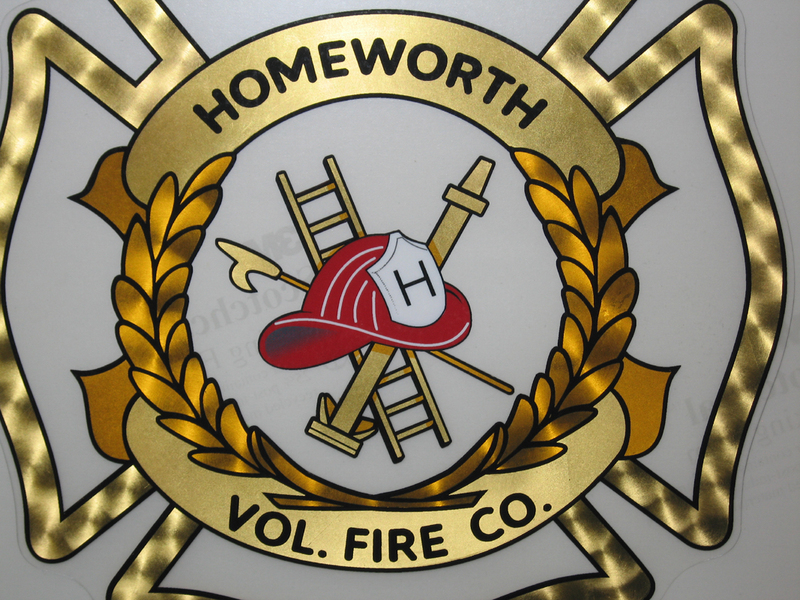 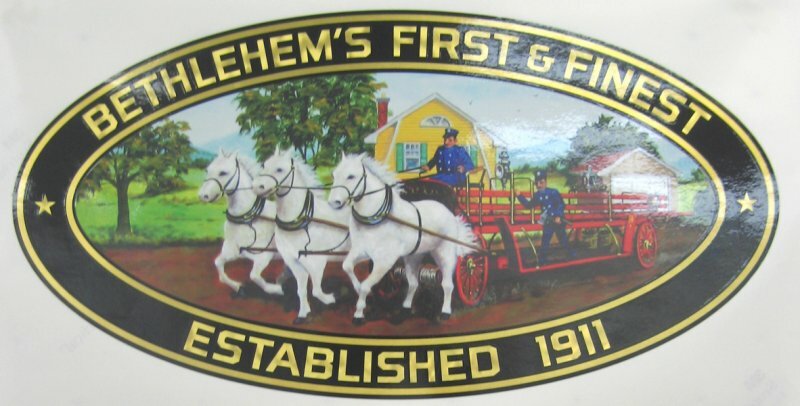 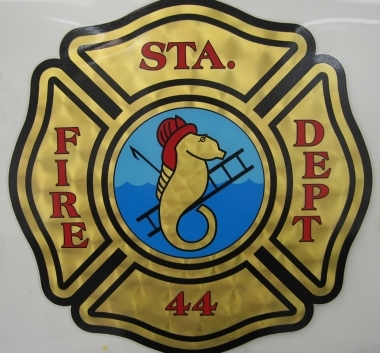 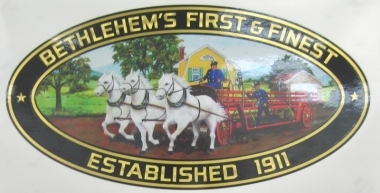 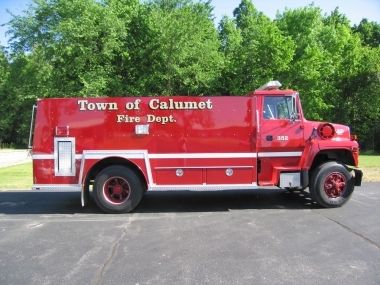 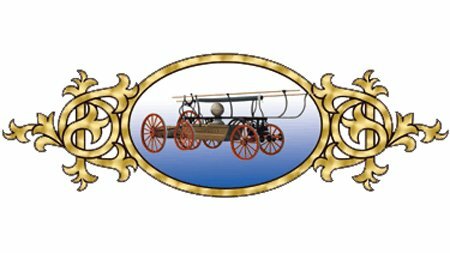 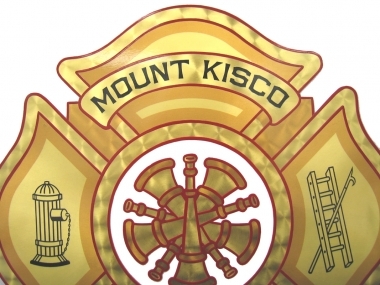 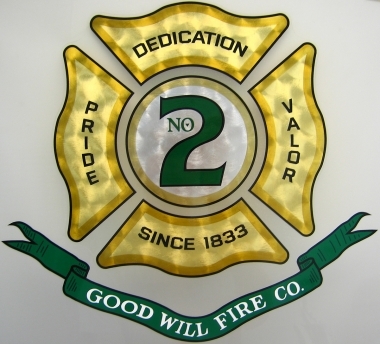 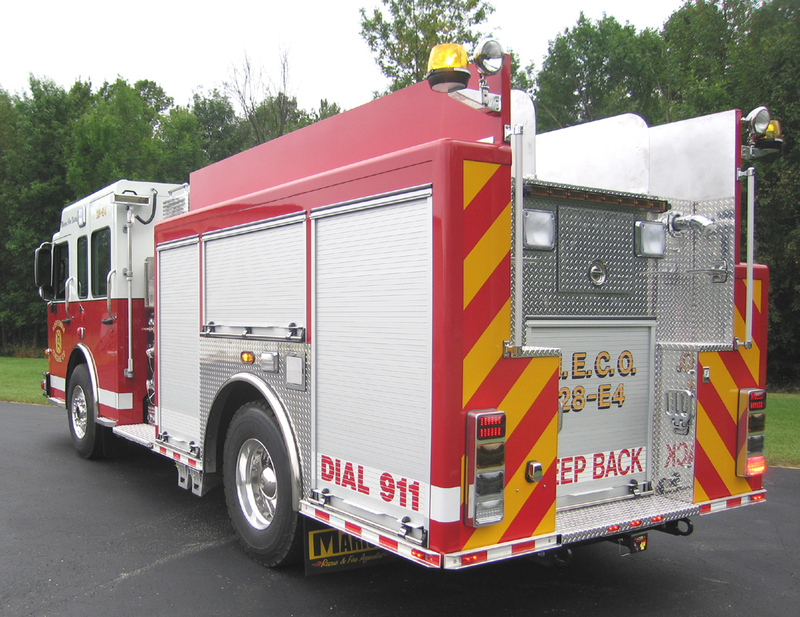 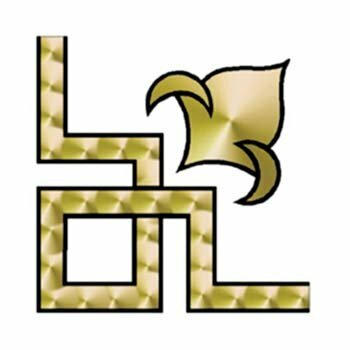 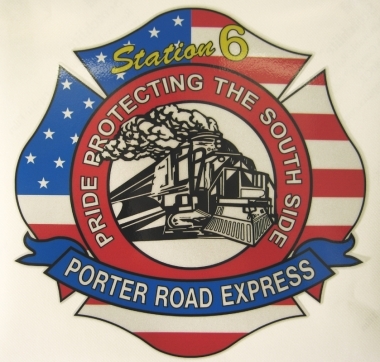 We use the finest-crafted German and Italian gold leaf to help pass along the time-honored tradition of using gold leaf on fire and emergency apparatus, an industry to which we supply quality graphics and service. 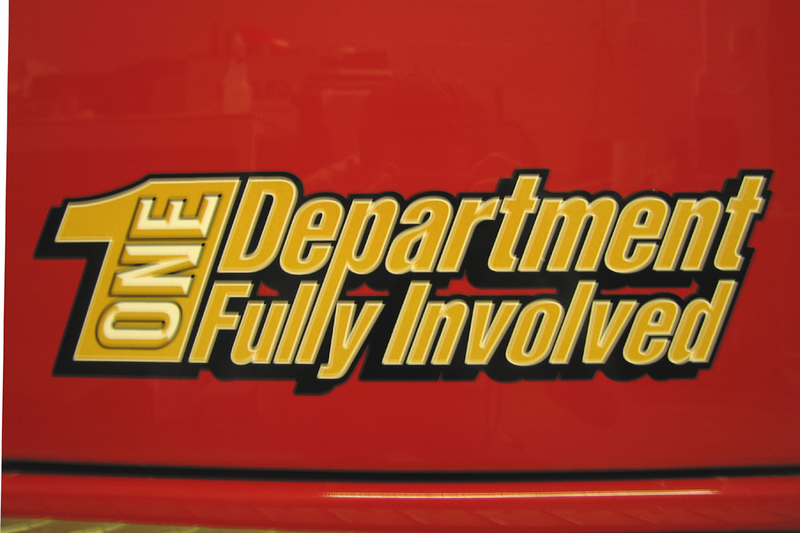 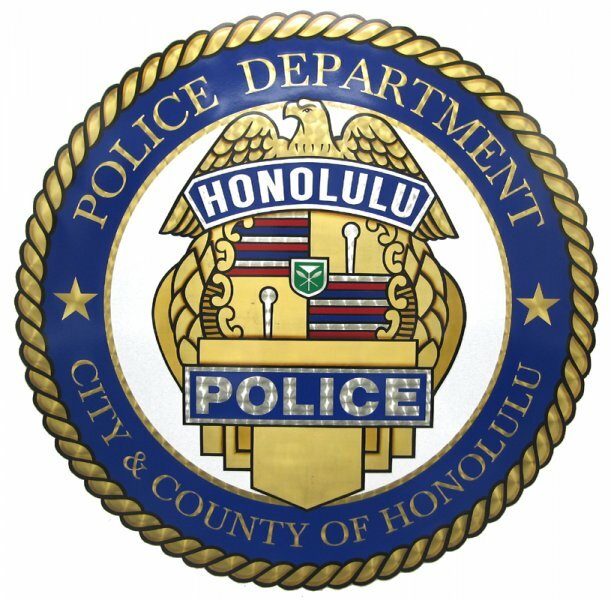 Once you’ve made the decision to invest a substantial amount of money on a new emergency vehicle, don’t settle for anything less than the best for your personnel and the image you want to convey about them. 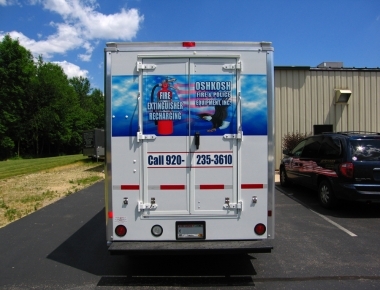 Put high quality custom graphics from RJ Marx on your vehicles! 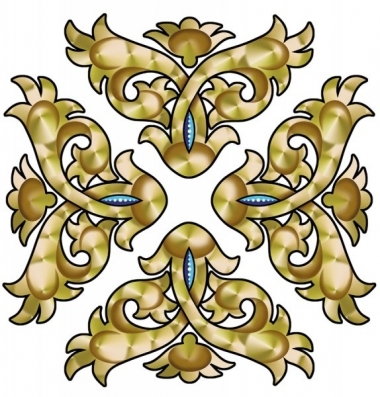 We give you design options. 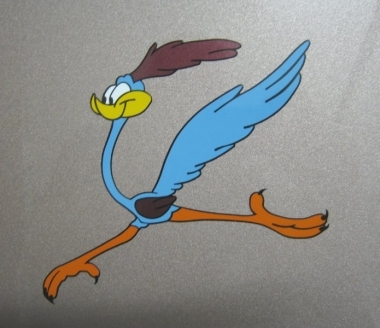 We have several types of graphics we can apply. 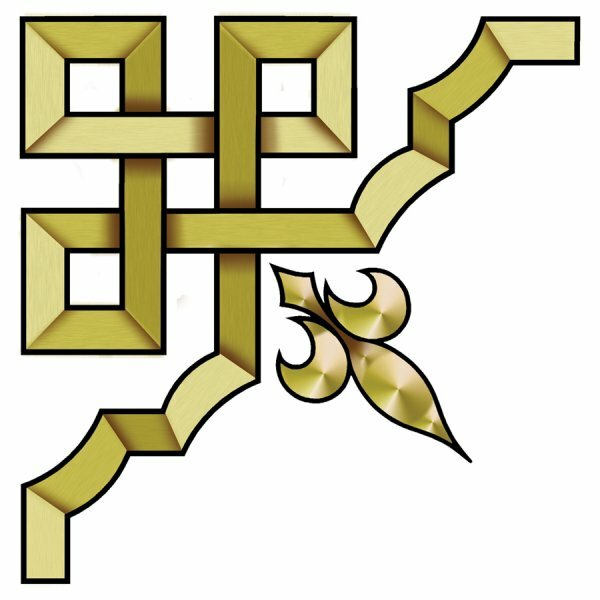 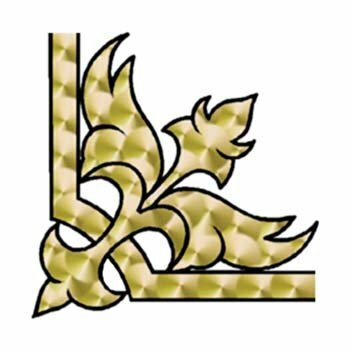 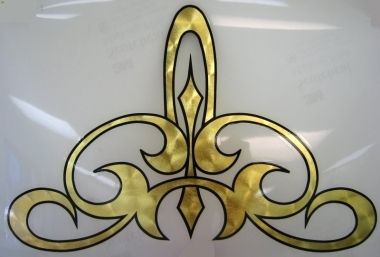 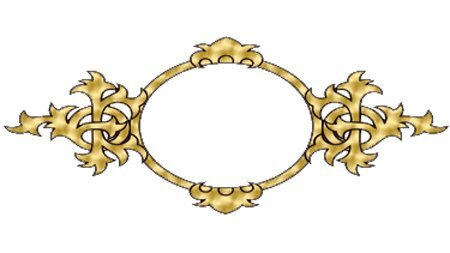 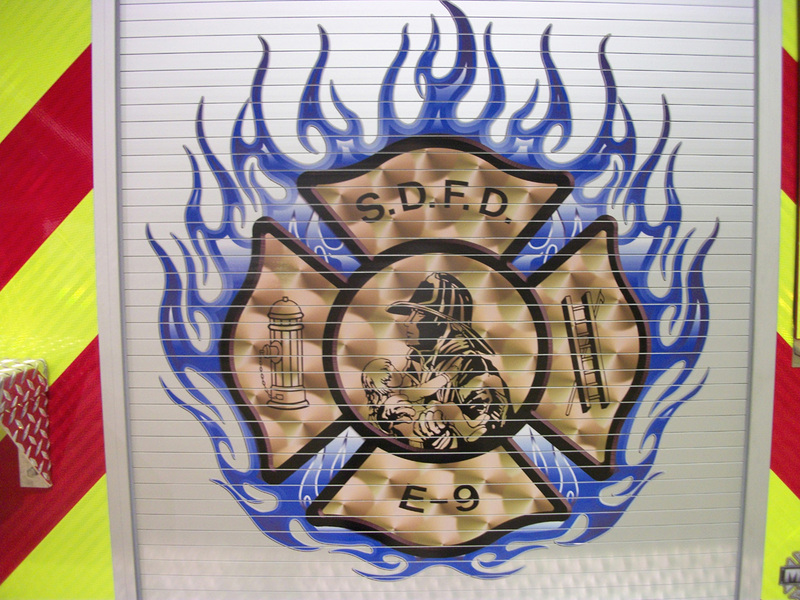 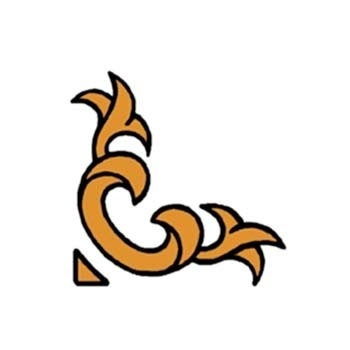 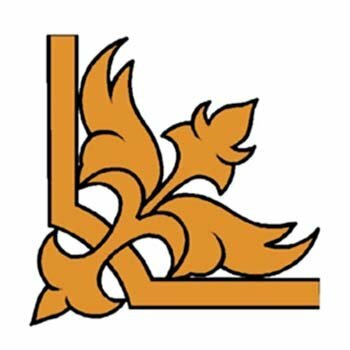 Choose from lettering, striping and endpoints, corner scrolls, Maltese crosses, fleur de lis, door scrolls, and decals and emblems to complete your overall image. 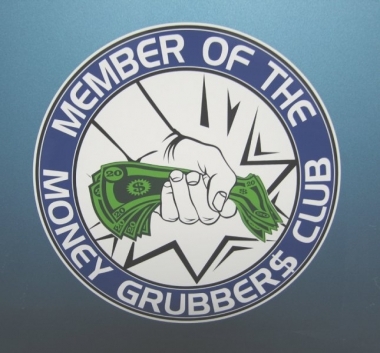 Your lettering can be as simple or complex as you see fit, and our design specialists will help you make decisions about everything form cut vinyl and reflective lettering to genuine gold leaf with double shades. 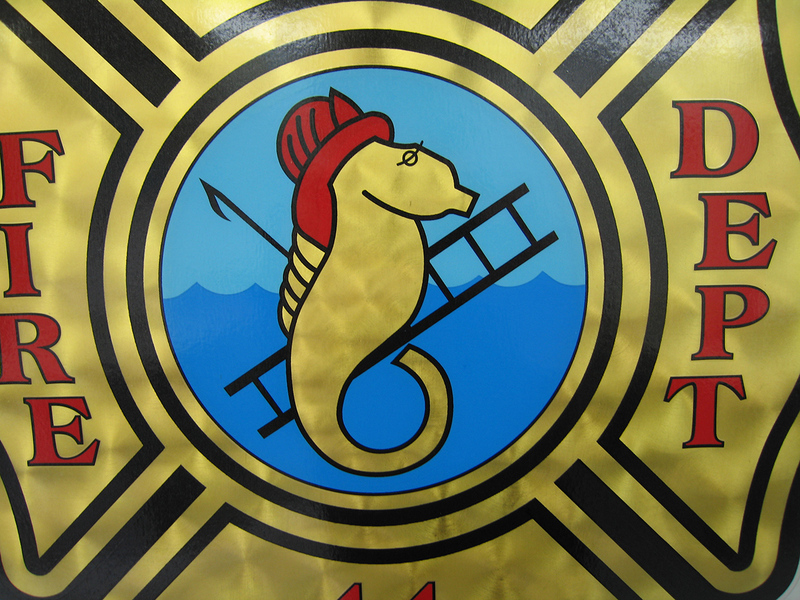 You let us know what you want, and our exceptional team of artists will create an image you’ll be proud. Choose from stock fonts or create something custom with our team. 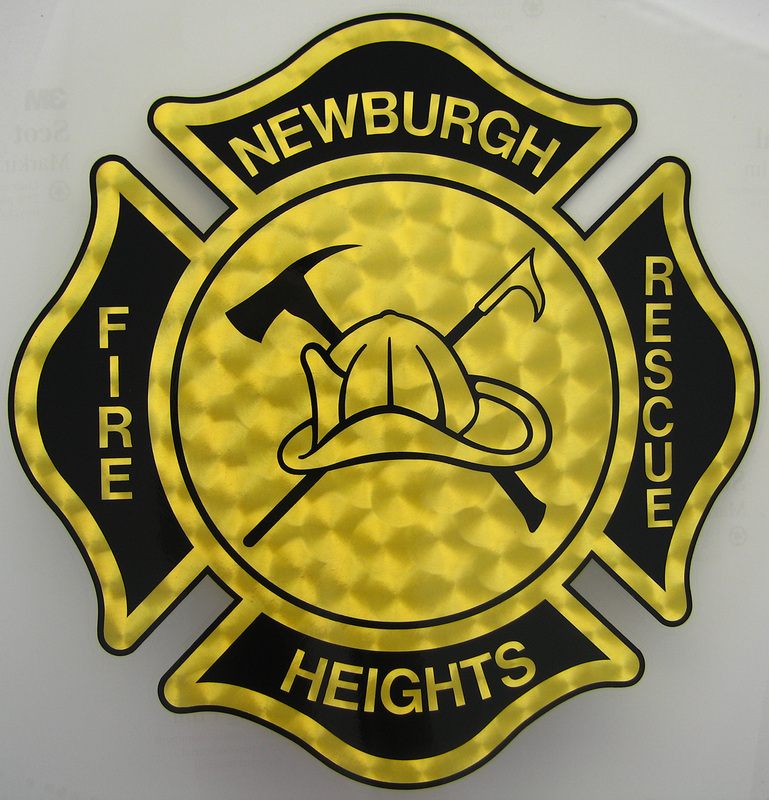 We have several types of lettering products that will be sure to suit any taste and budget, whether silver or gold, large or small. 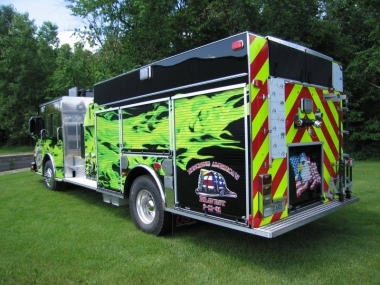 RJ Marx can give your look a finished quality with our striping and endpoints. 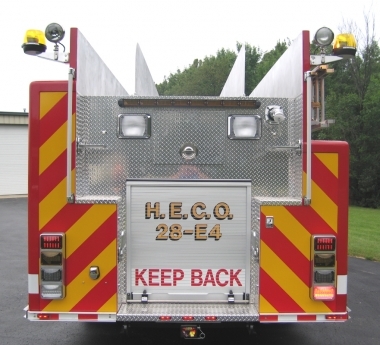 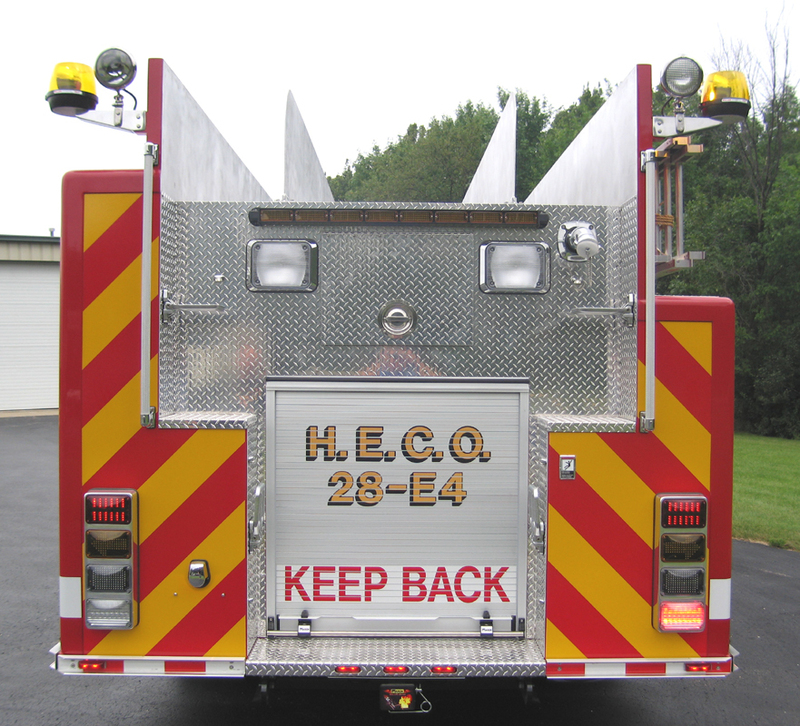 Our stock width of half an inch-wide striping can be applied to most parts of your apparatus and finished off with elegant endpoints. 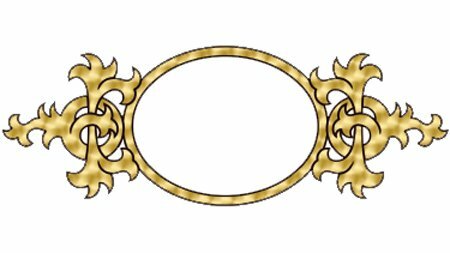 If you’re not satisfied with the standard black border color, we can make a custom border for you using whatever color you prefer. 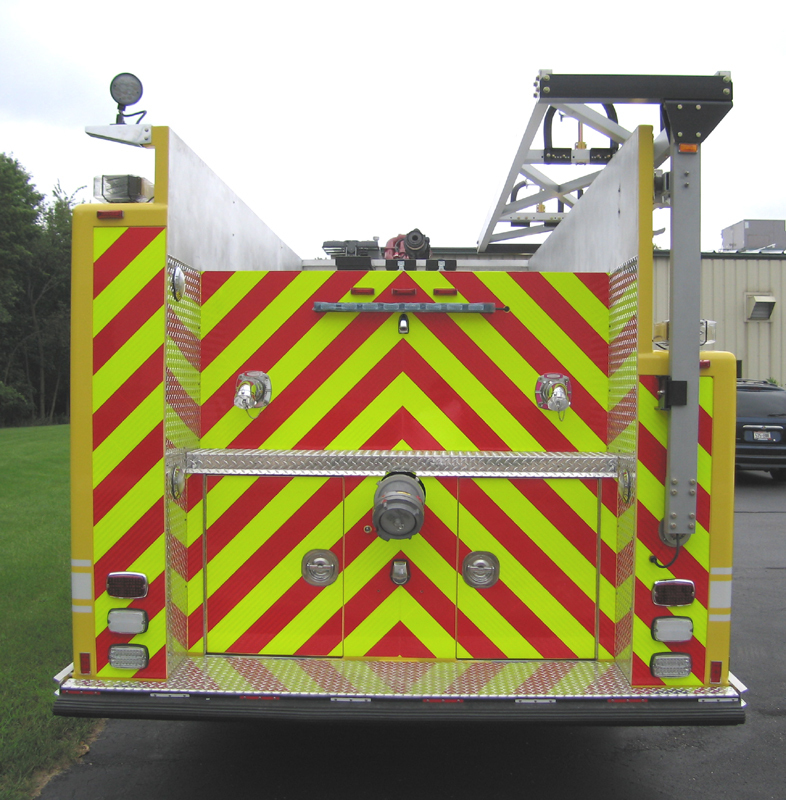 Scrolls on corners of your emergency apparatus are a fantastic way to add flare to your look. 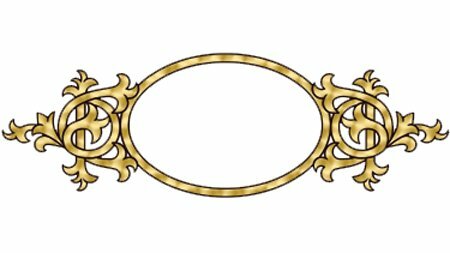 Paired with our striping and endpoints, corner scrolls are a great addition to an eye‑catching design. 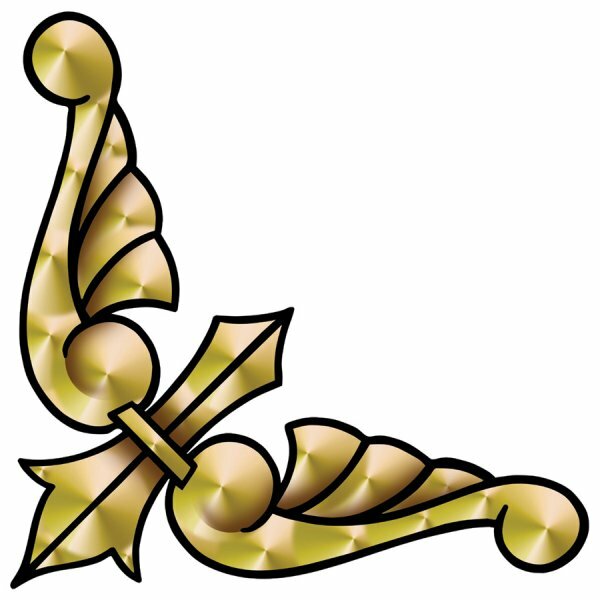 If you want a specific corner scroll not found in our stock collection, you can work with our design team at RJ Marx to customize something to your liking. 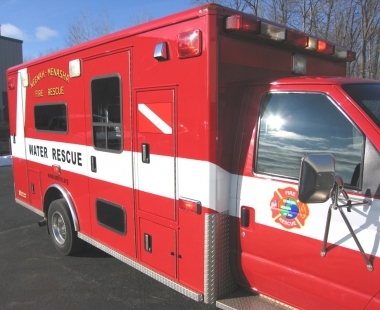 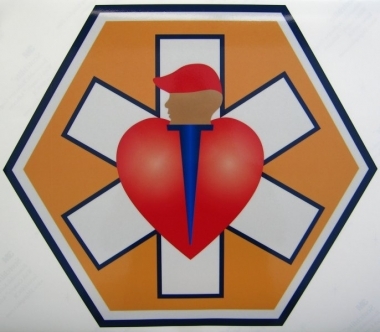 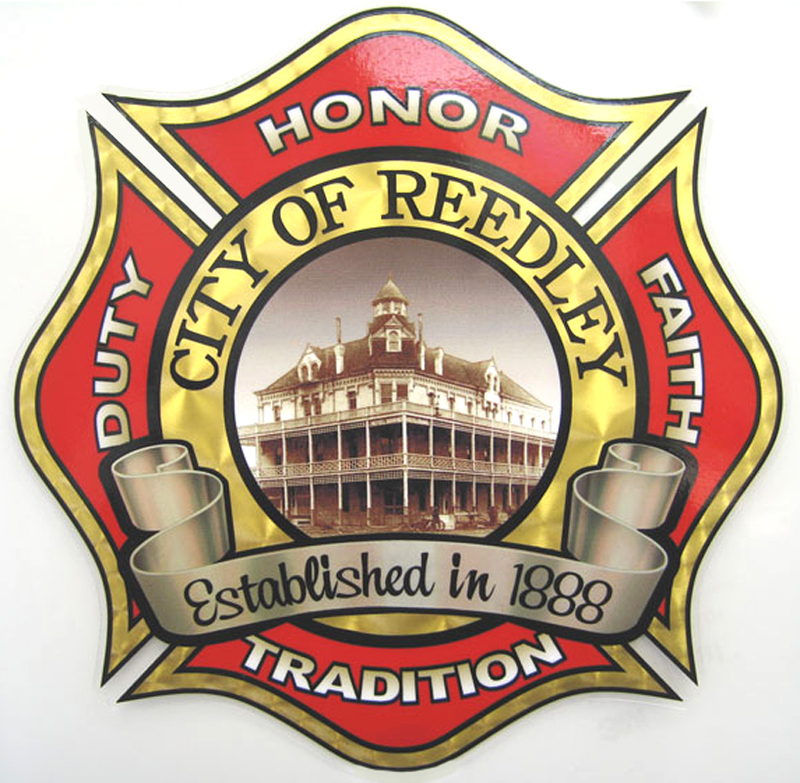 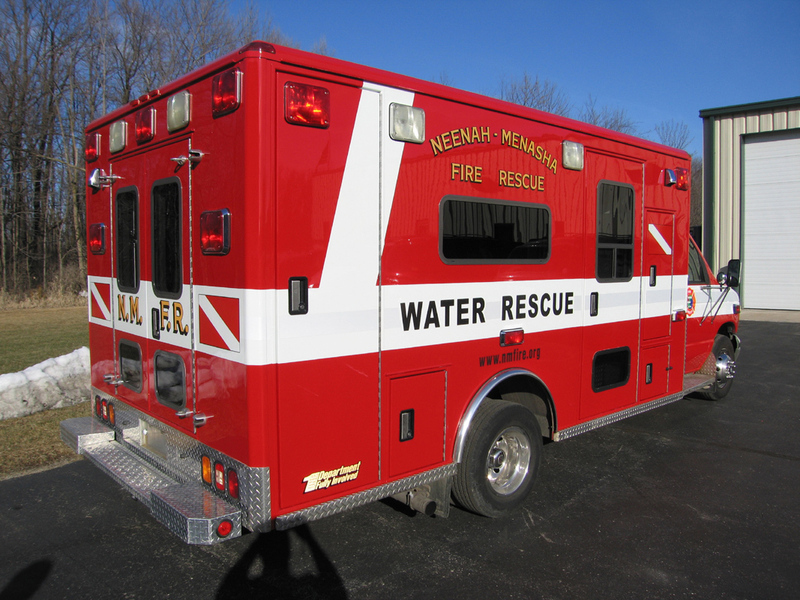 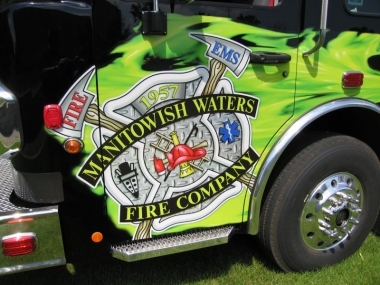 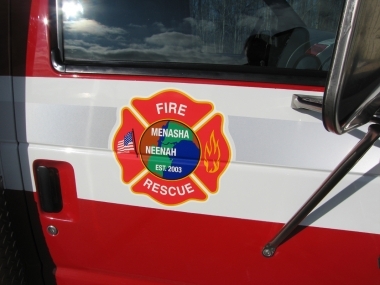 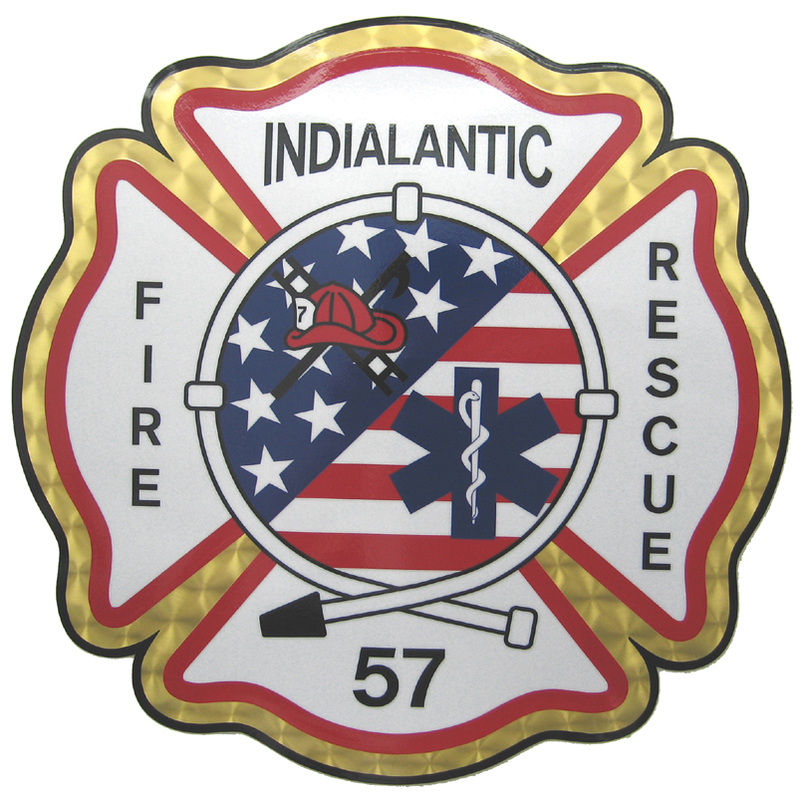 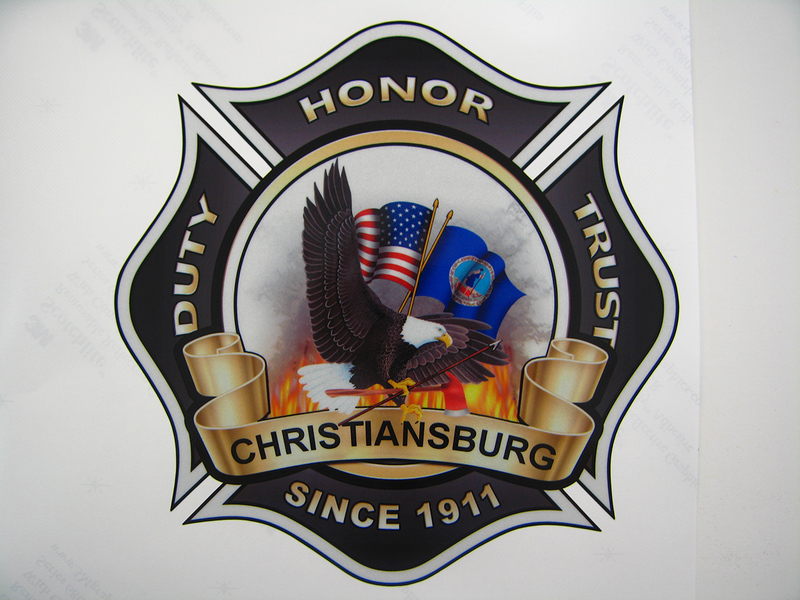 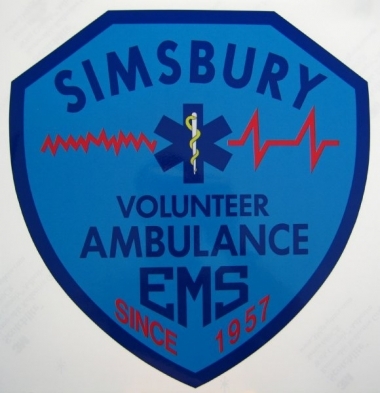 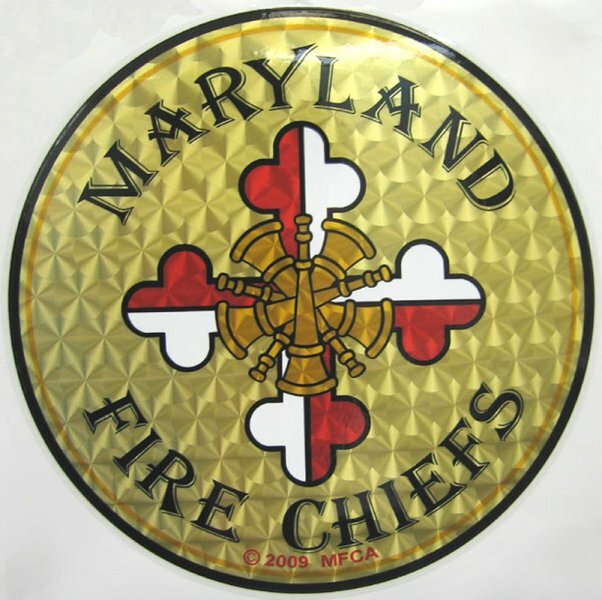 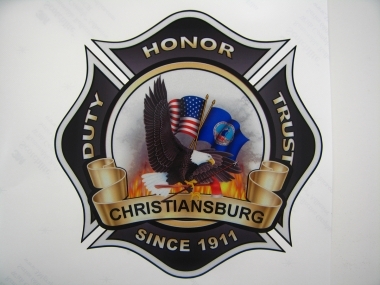 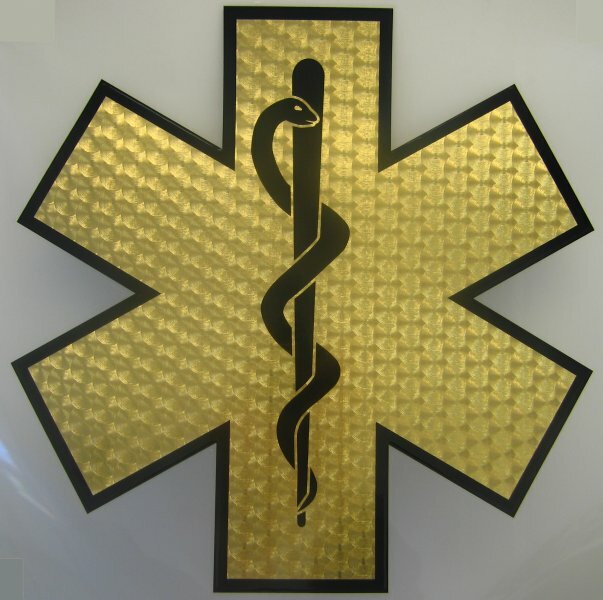 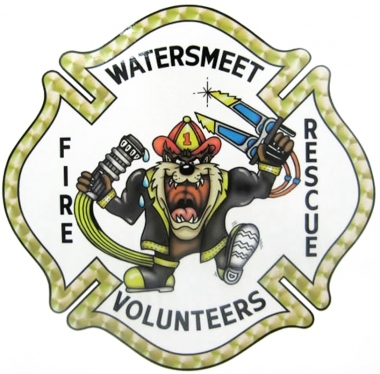 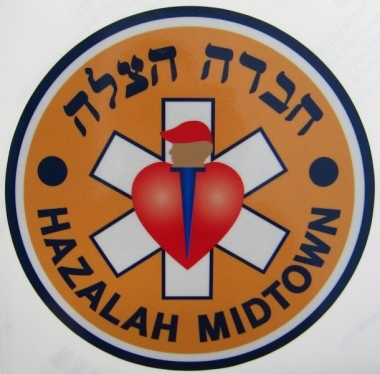 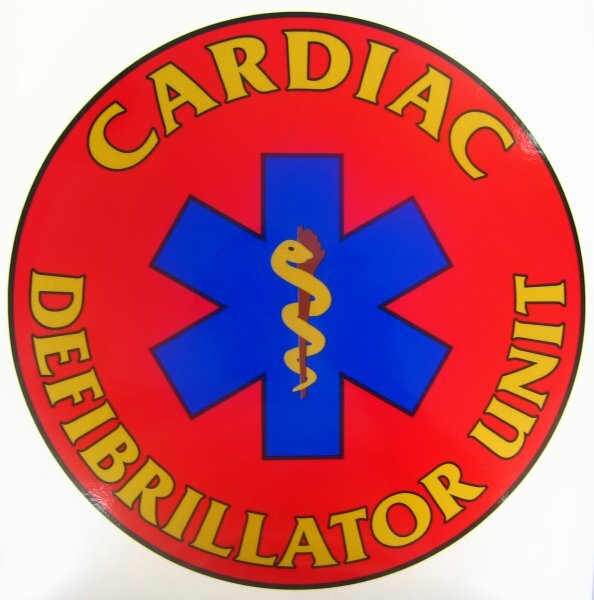 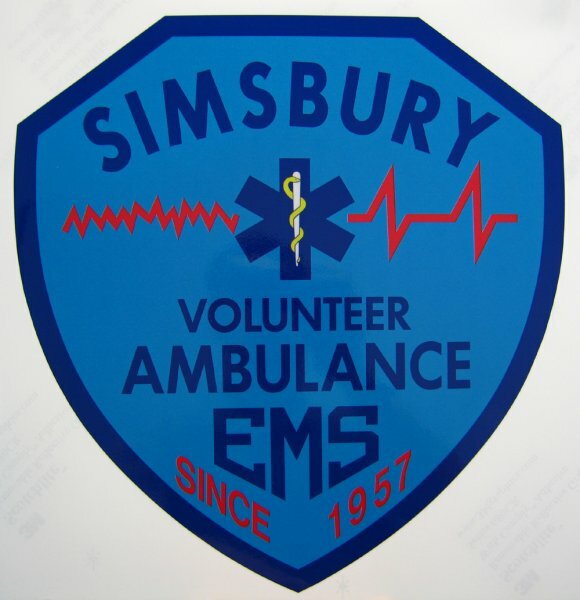 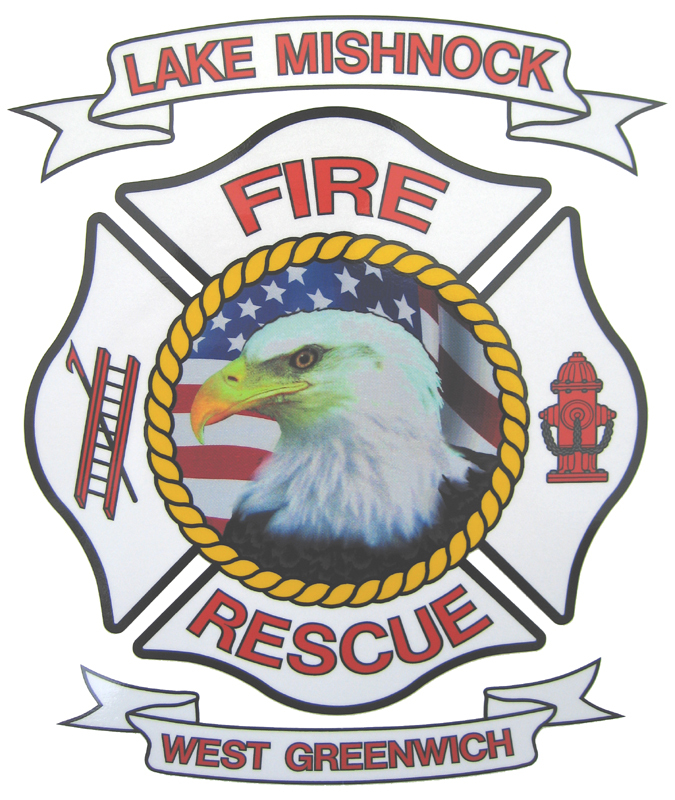 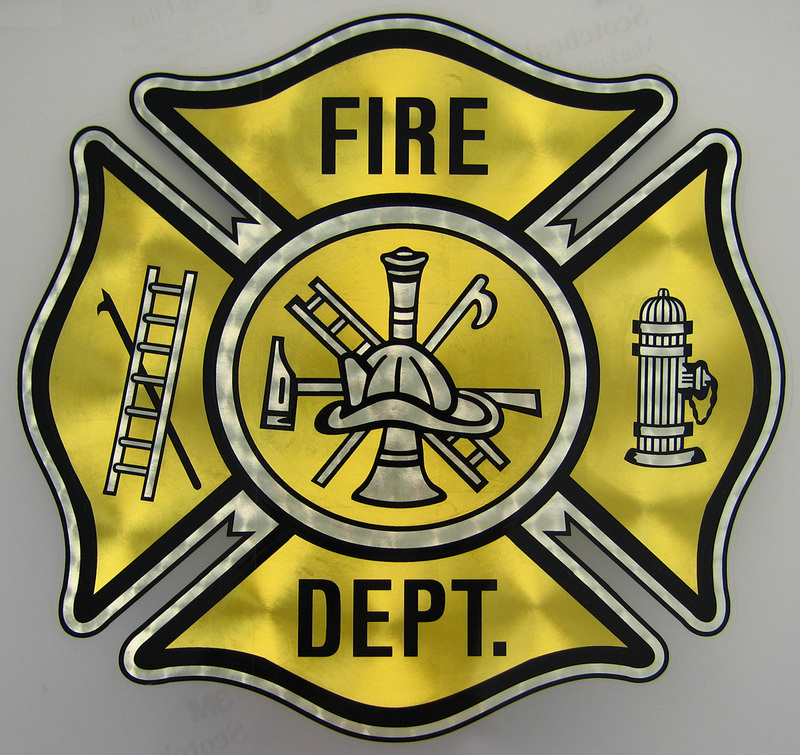 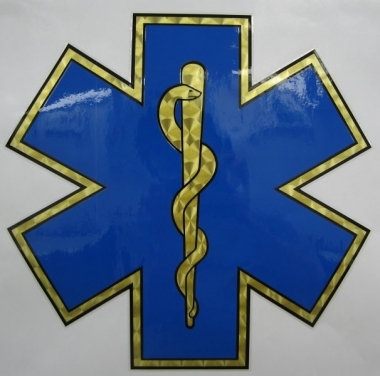 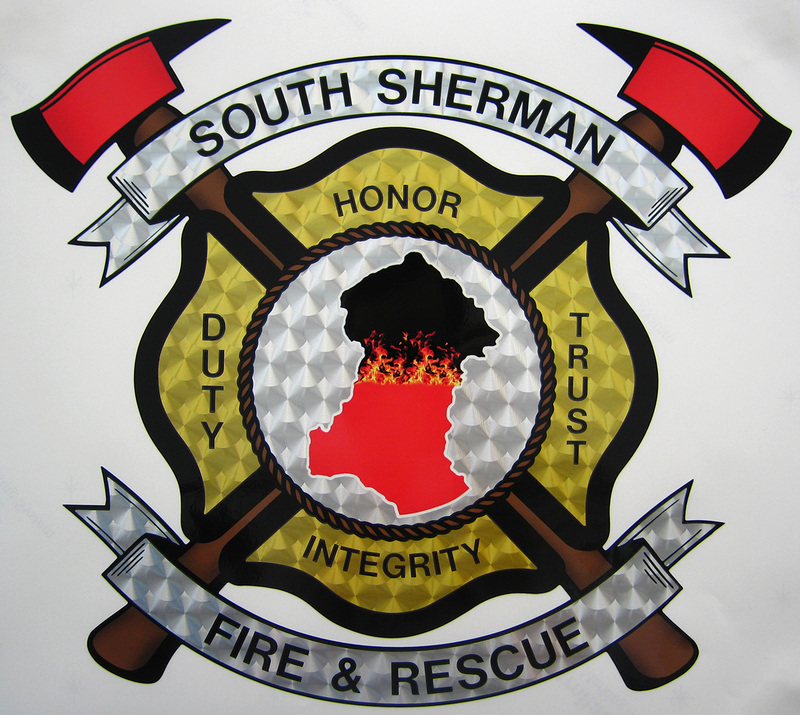 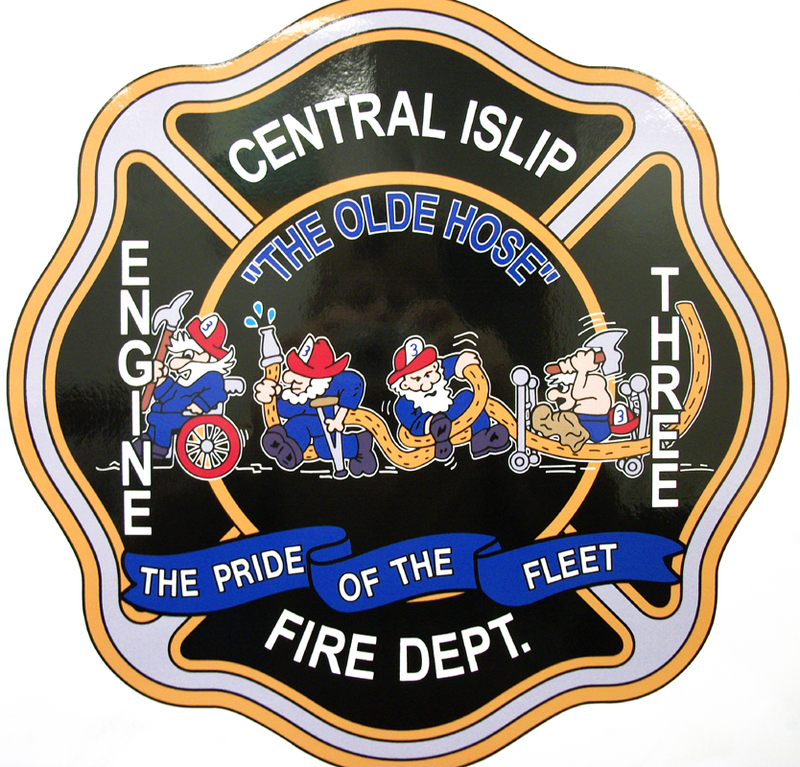 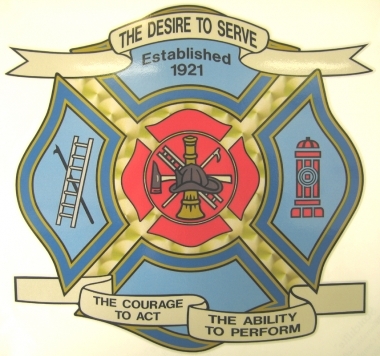 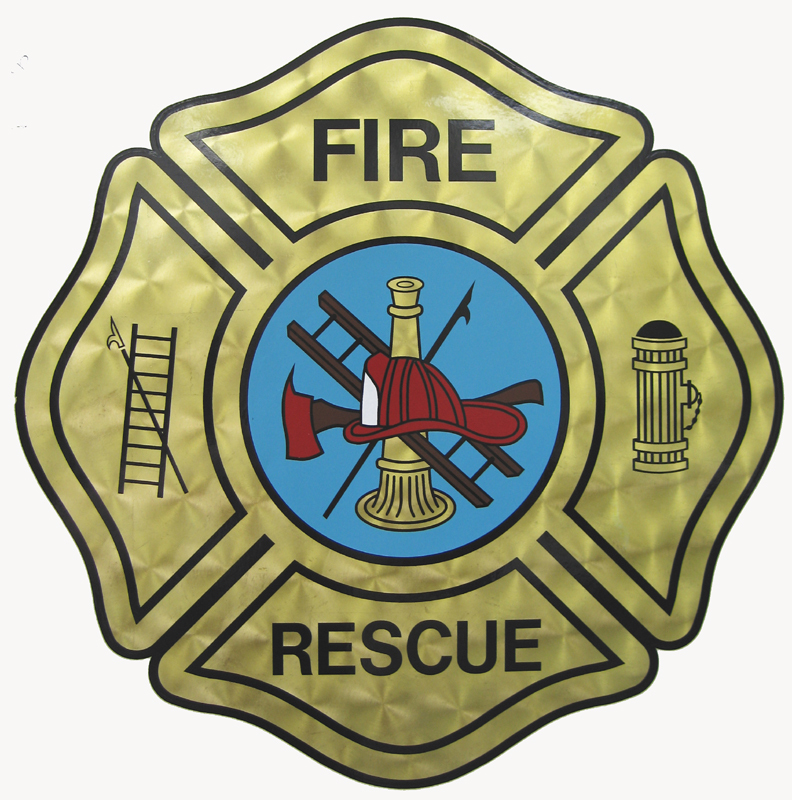 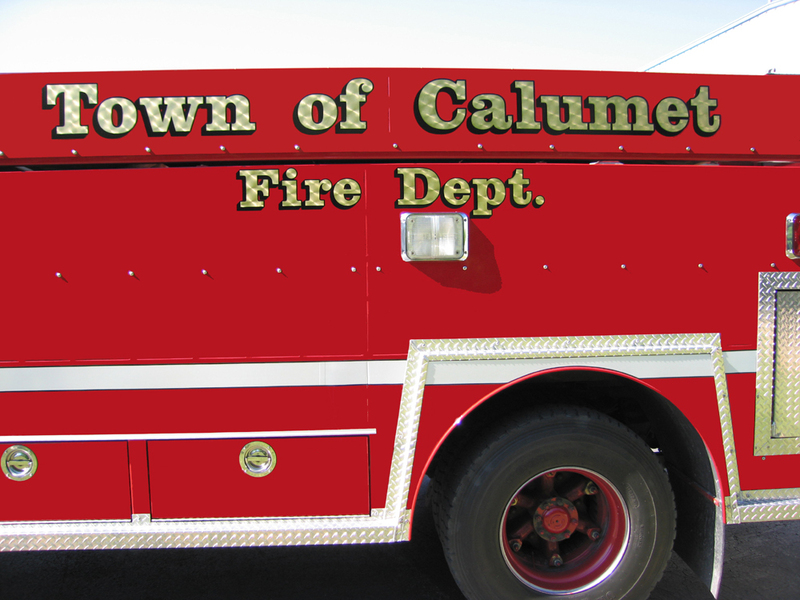 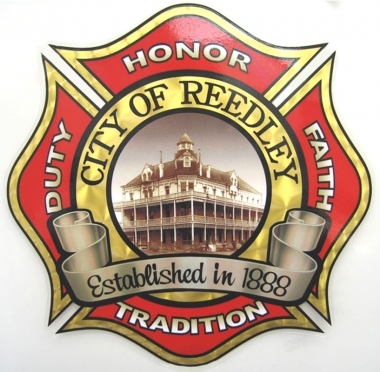 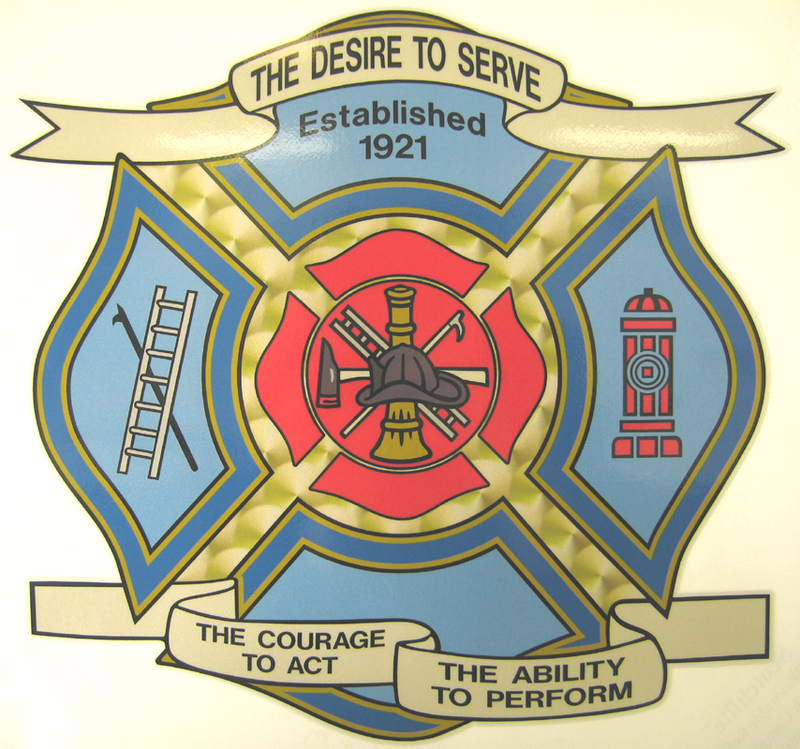 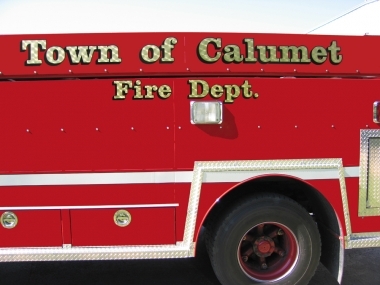 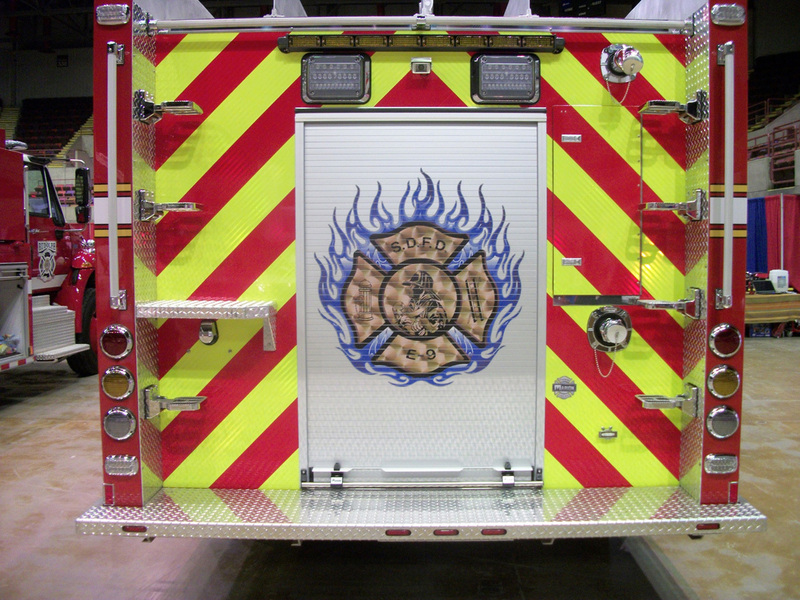 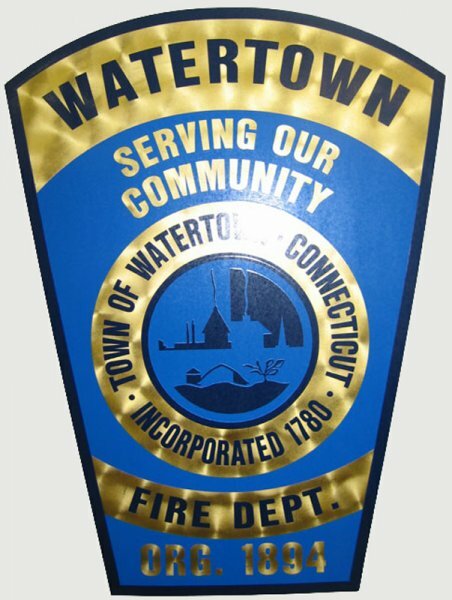 RJ Marx has several materials to choose from to create your custom-sized, custom‑color Maltese cross for your emergency vehicle graphics. 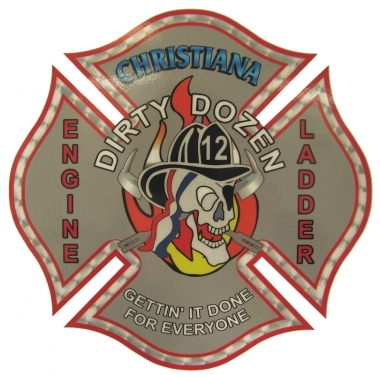 If you’d prefer to combine several elements from multiple crosses, just let our design team know you’d like to create a unique look for your personnel. 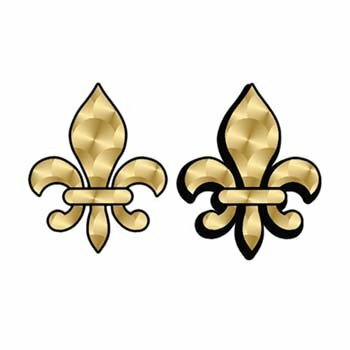 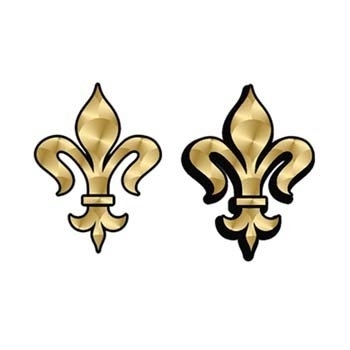 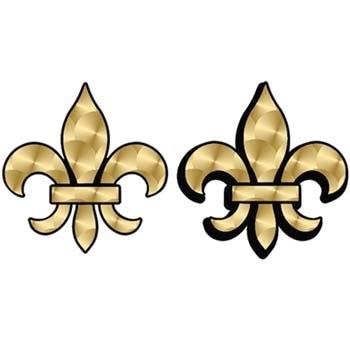 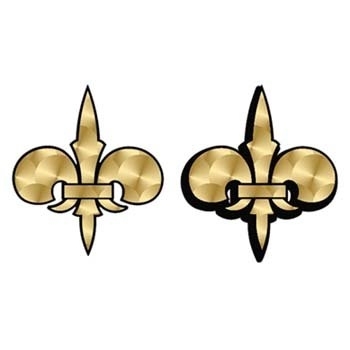 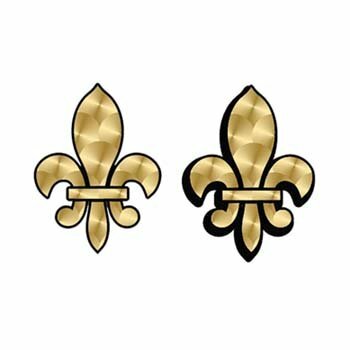 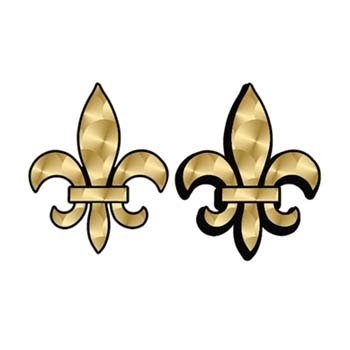 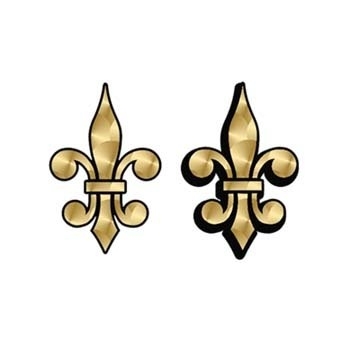 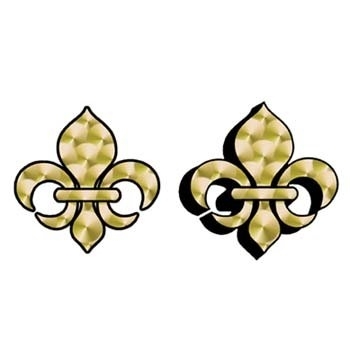 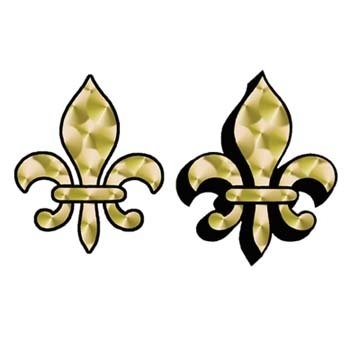 Nothing recalls Old World charm and tradition quite like the time-honored fleur di lis. 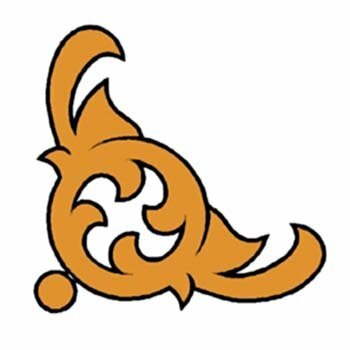 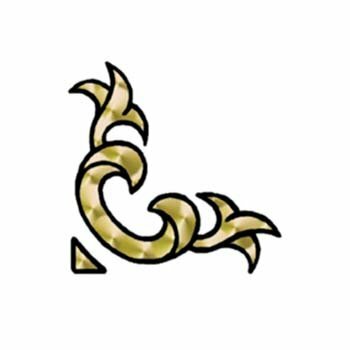 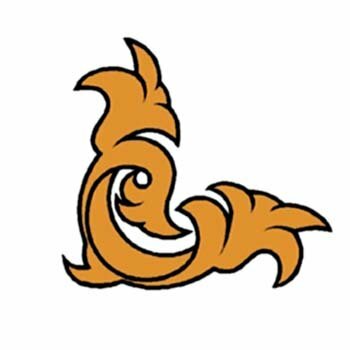 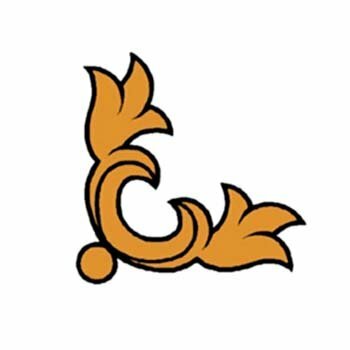 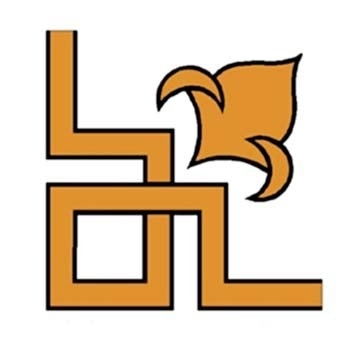 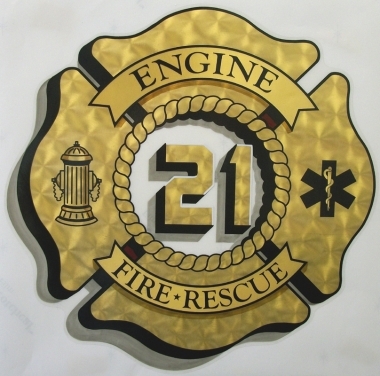 This iconic emblem is available in several material types and styles, so choose from our bountiful stock or create something unique with our team. 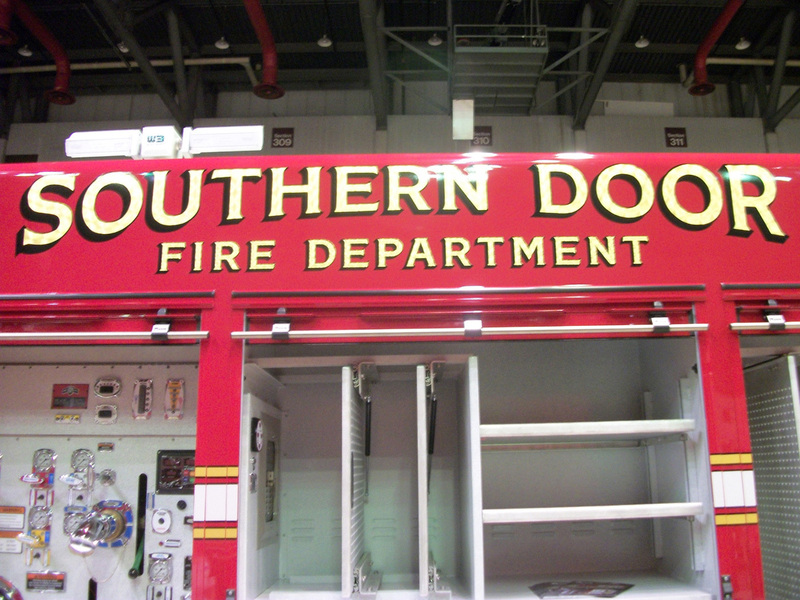 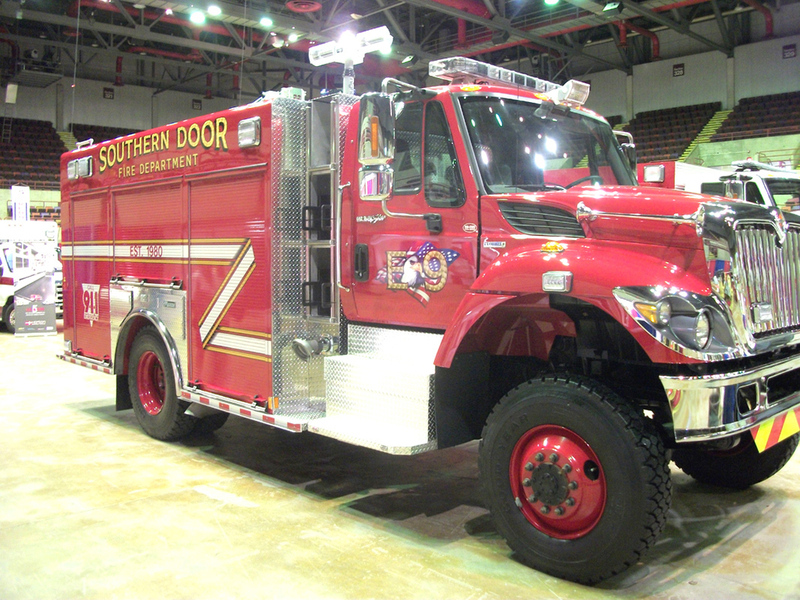 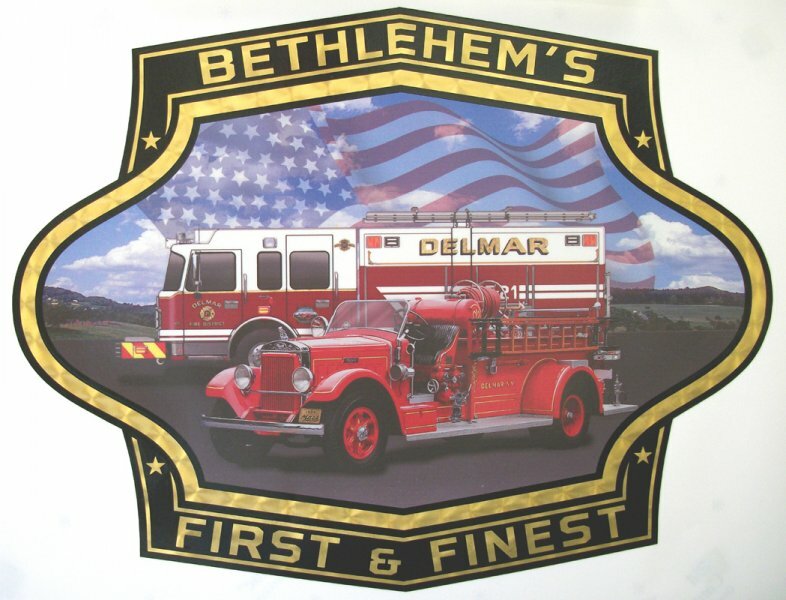 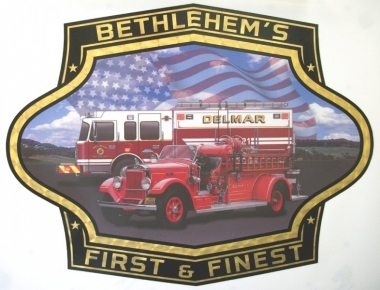 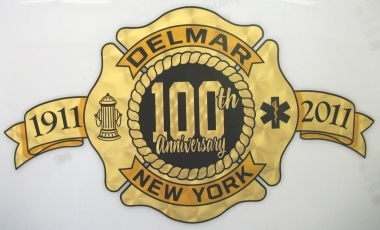 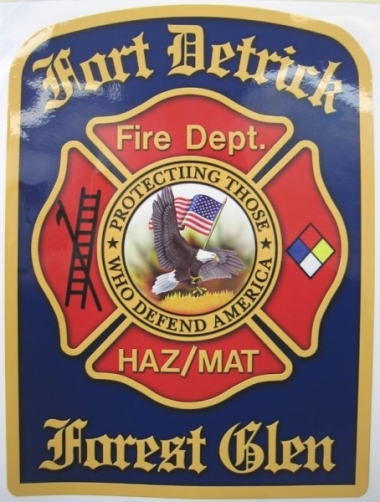 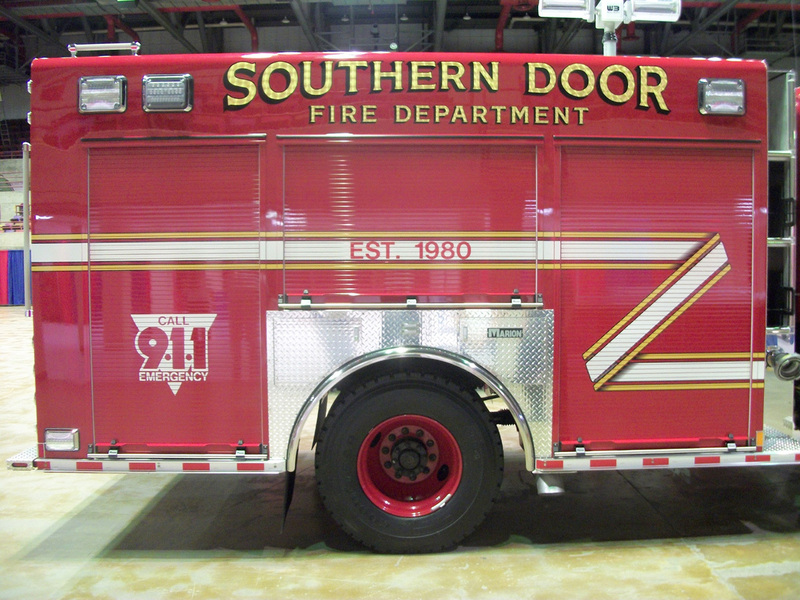 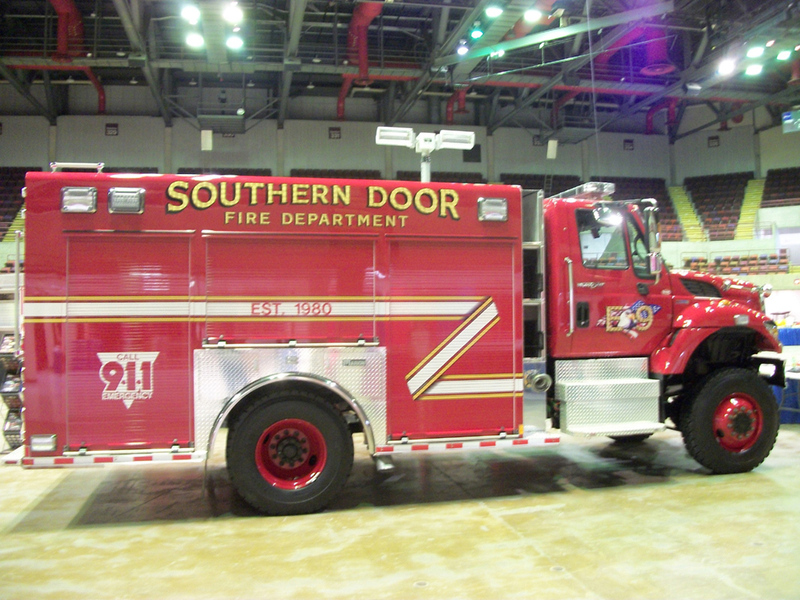 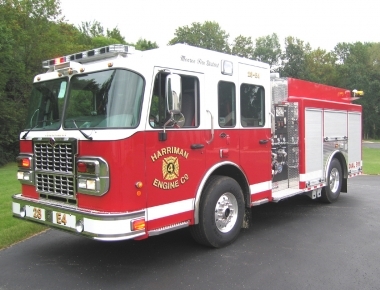 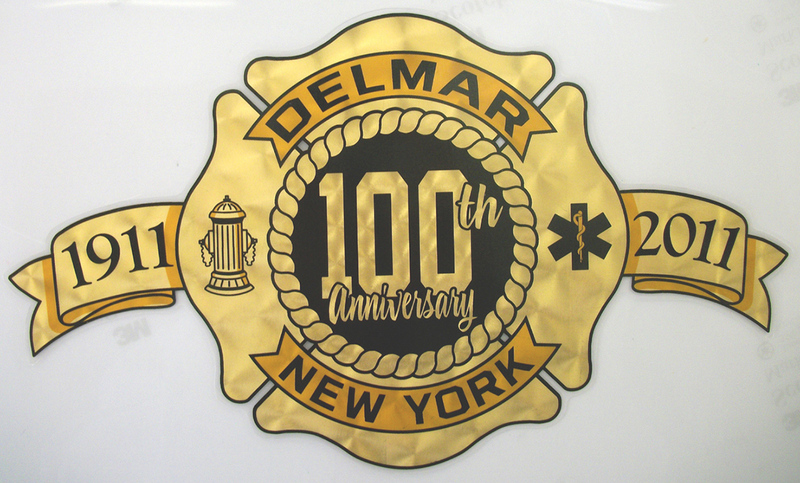 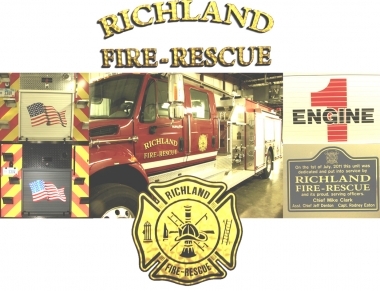 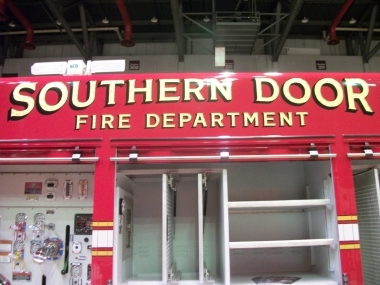 Door scrolls are an iconic hearken back to the historic look and feel of the fire truck and emergency vehicle, and a great way to carry that heritage forward is with attractive door scrolls from RJ Marx, available with tinting, pinstripe detail, and so much more. 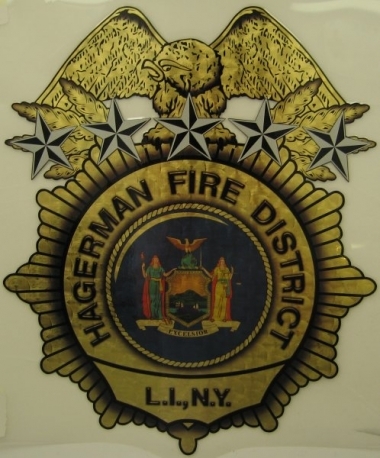 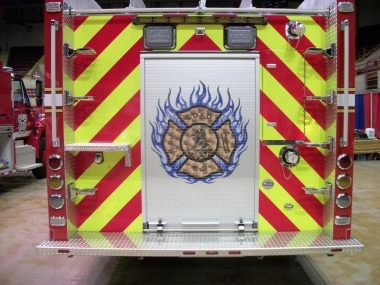 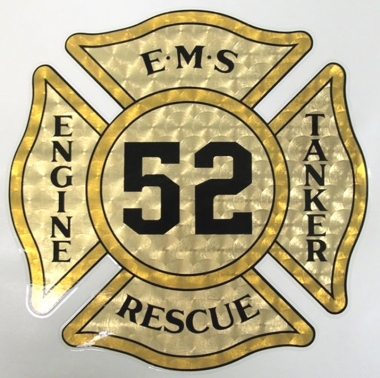 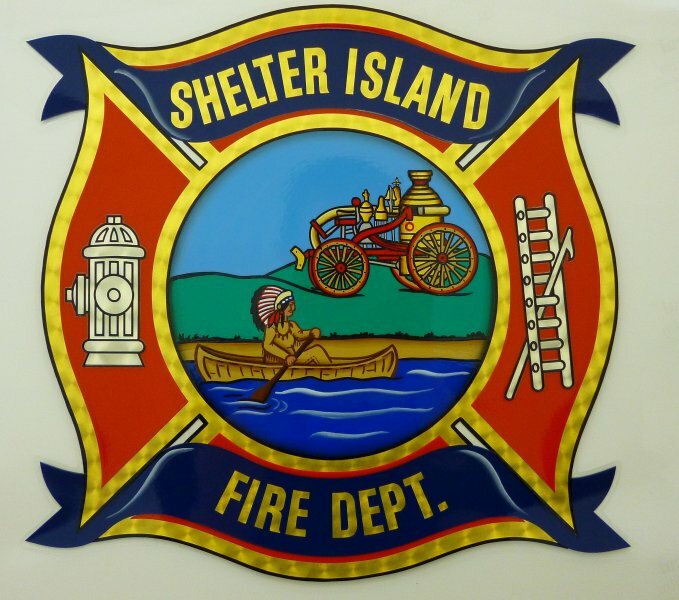 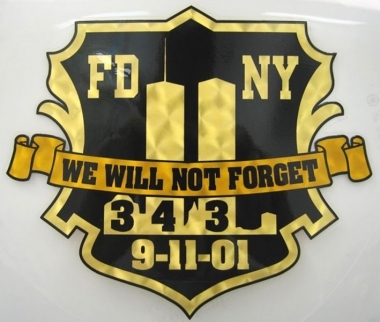 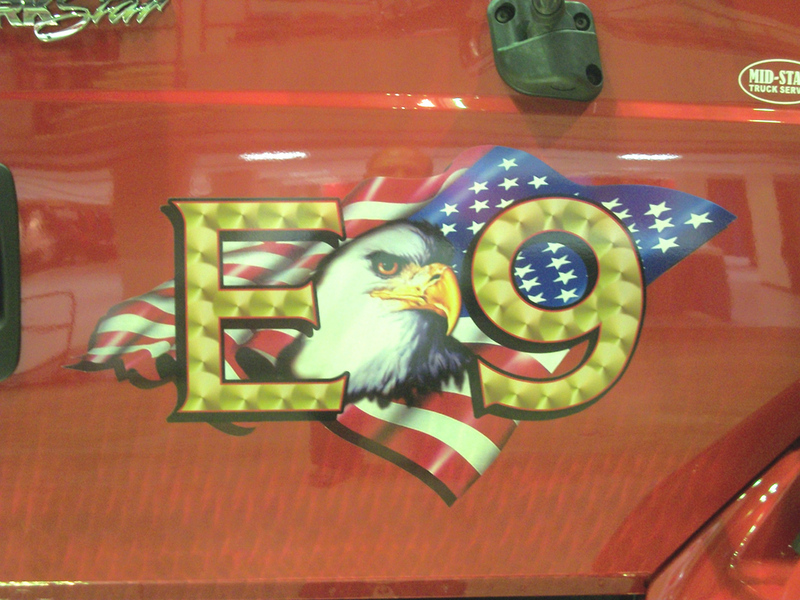 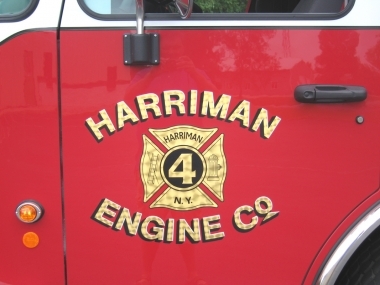 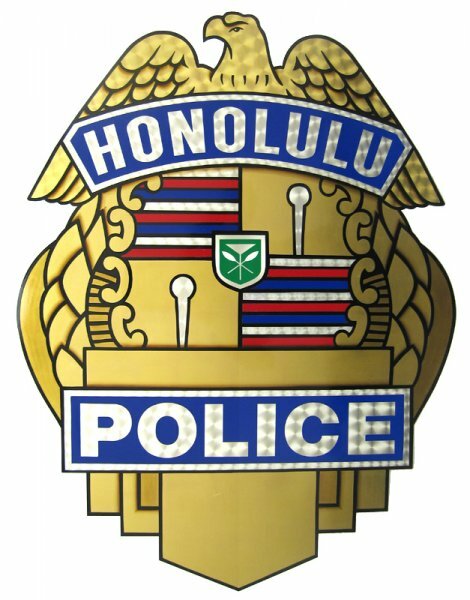 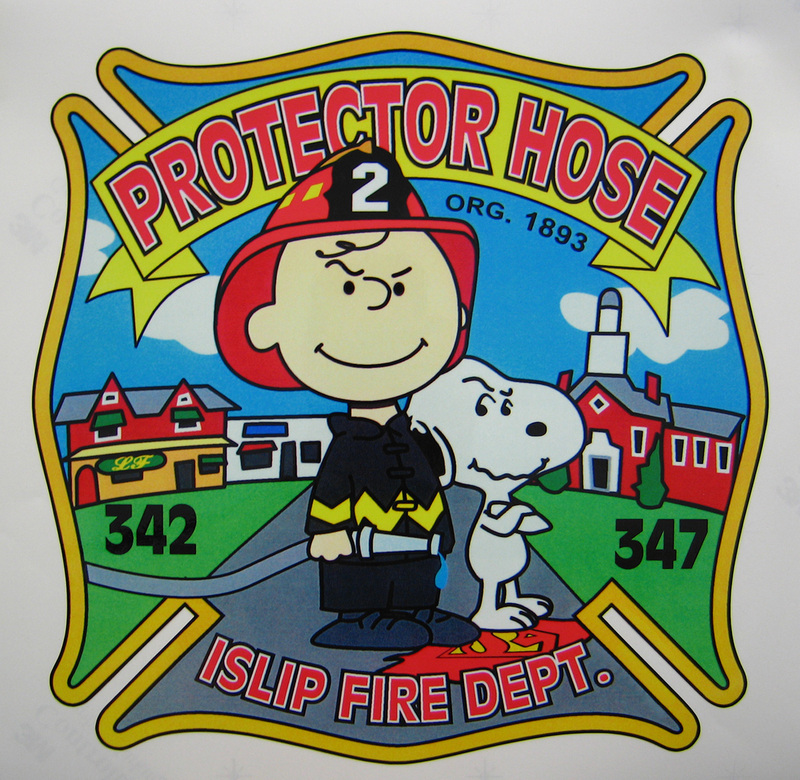 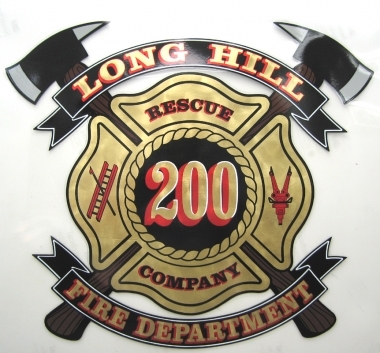 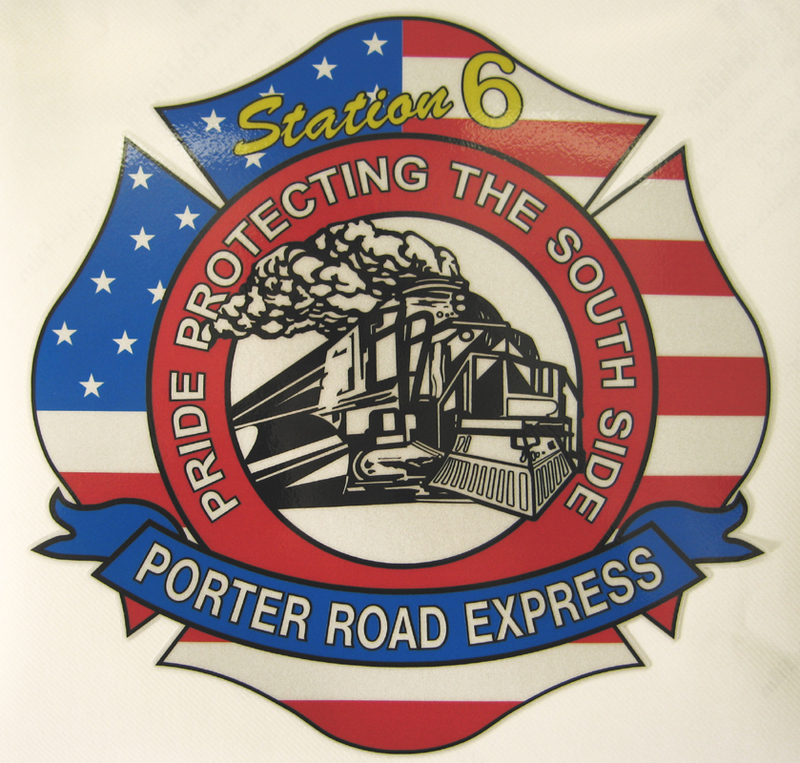 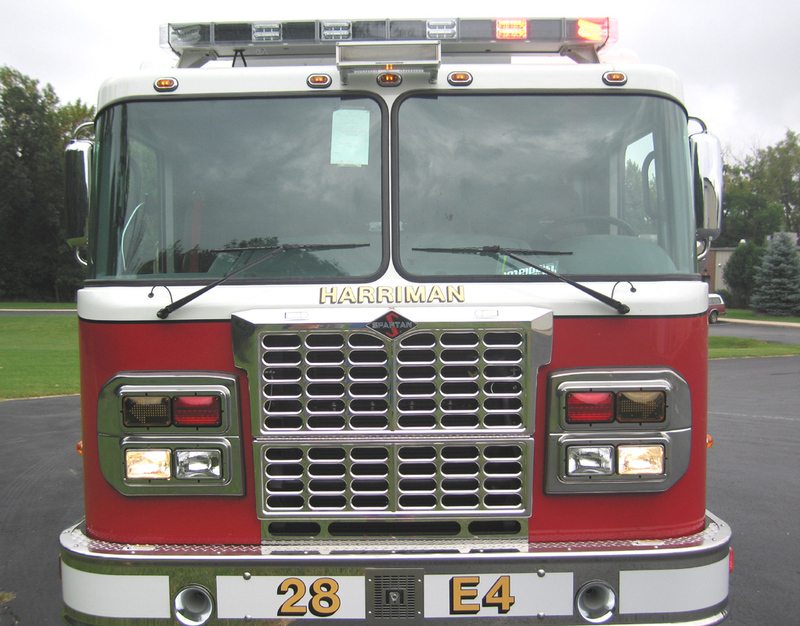 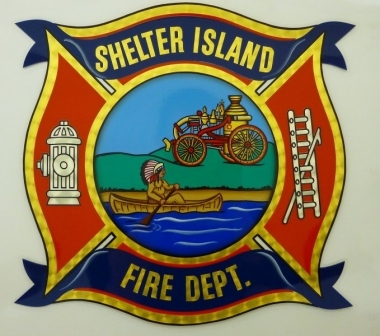 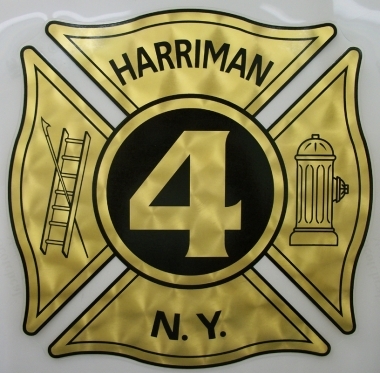 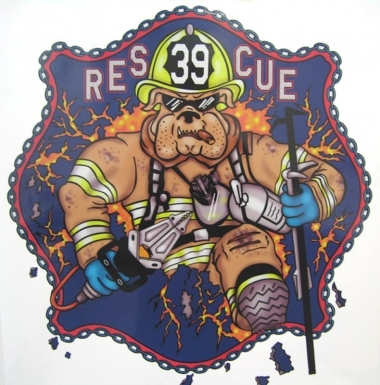 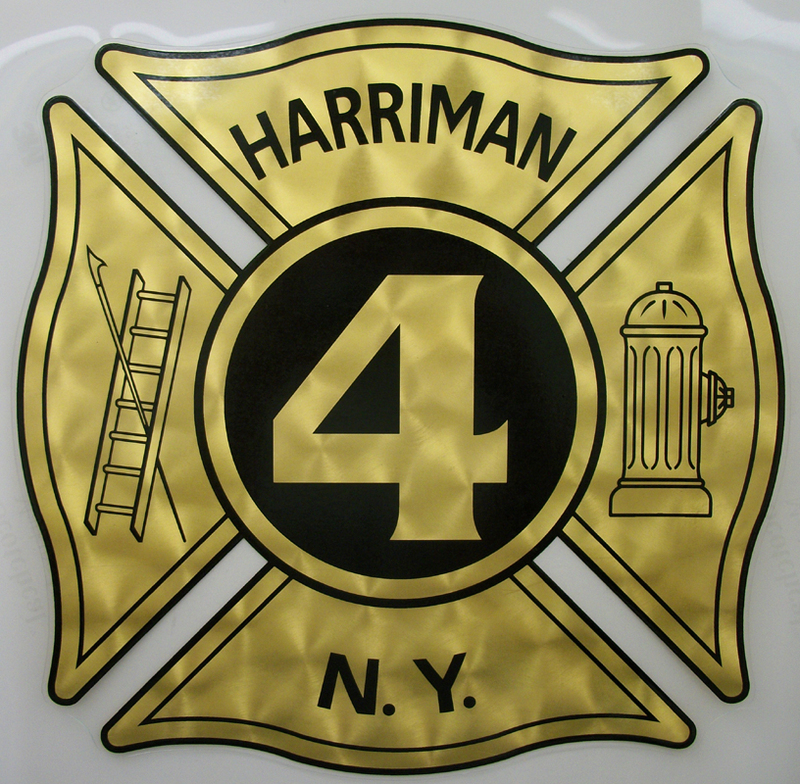 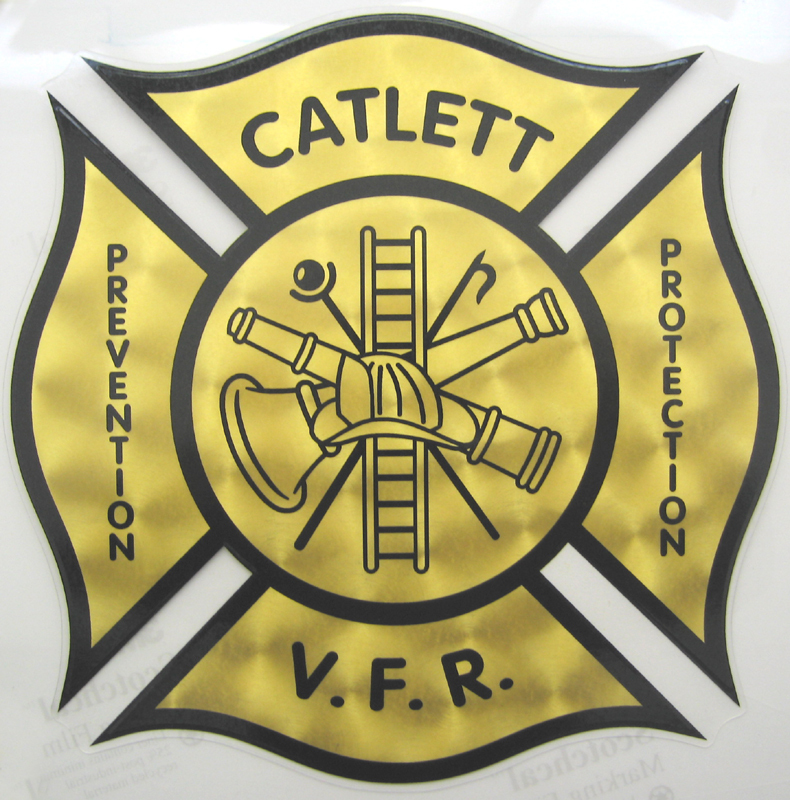 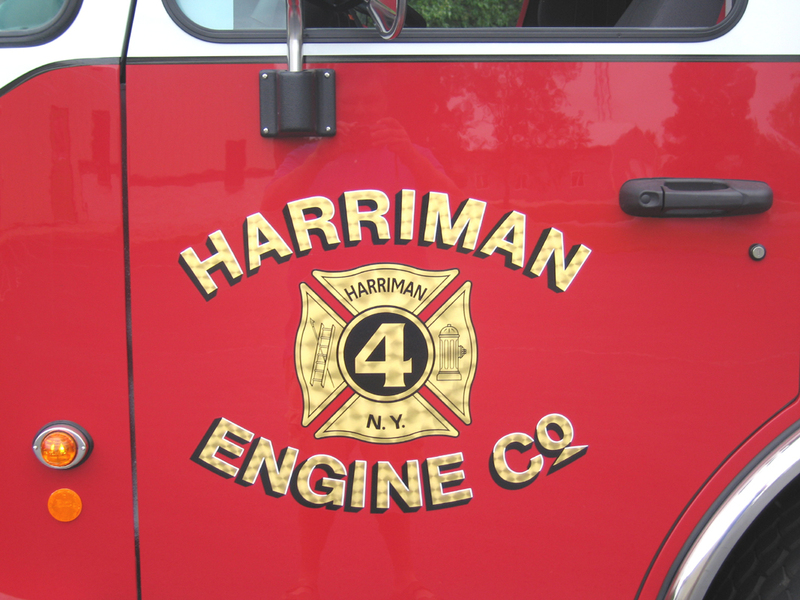 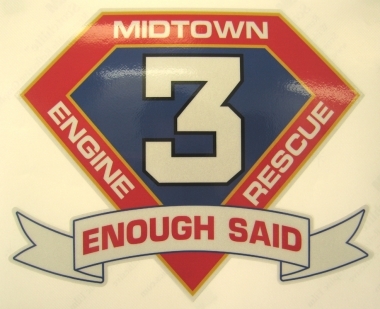 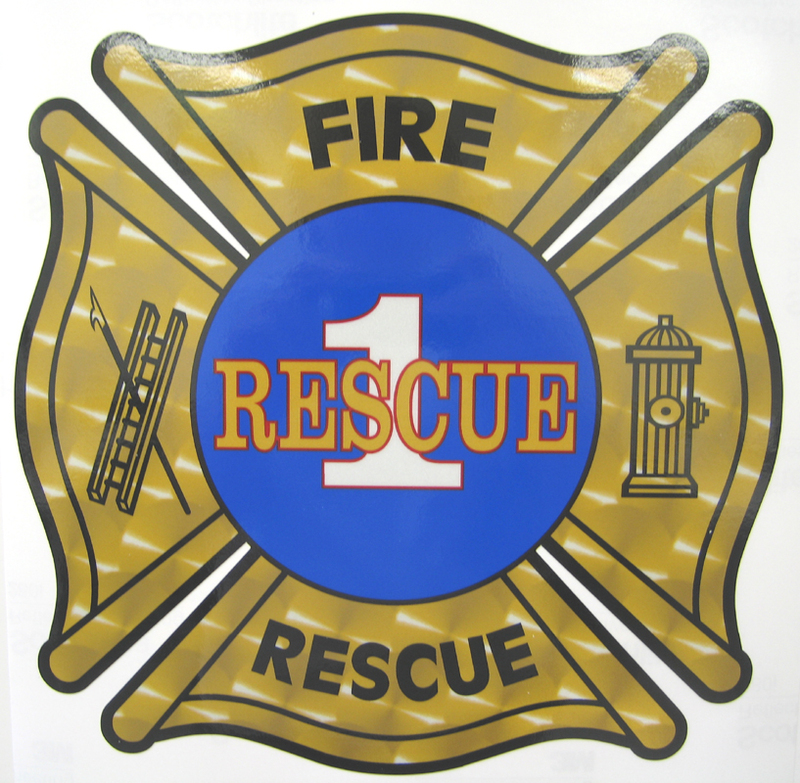 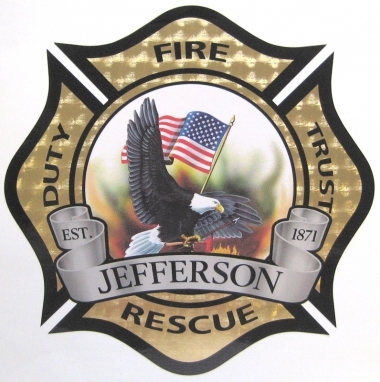 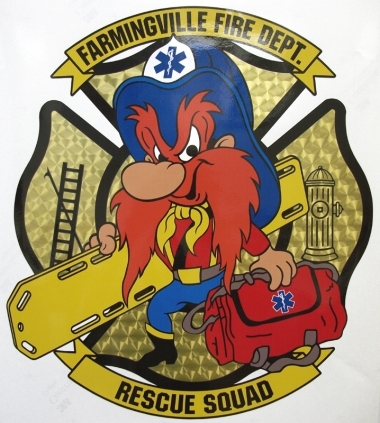 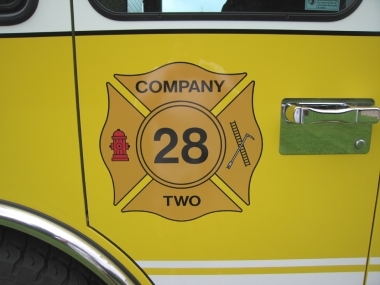 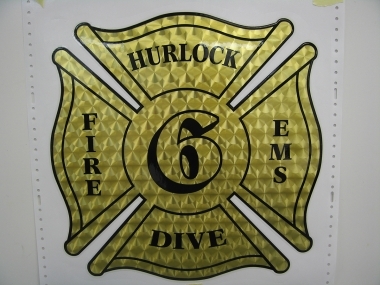 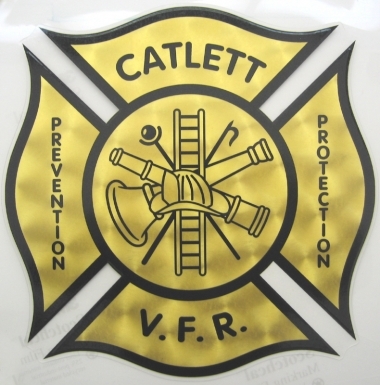 Whether stock or custom, 23-karat gold leaf or superlative vinyl, RJ Marx has a number of stock decals to choose from, along with an extensive catalog of all the decals we’ve done throughout all our years putting custom graphics on fire and emergency vehicles. 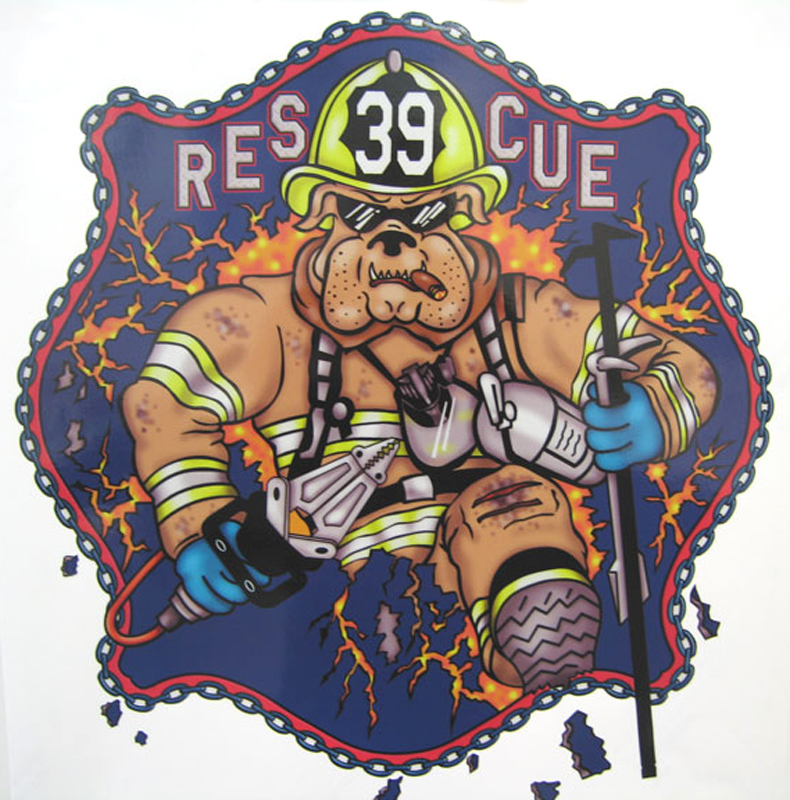 Choose from that catalog, or work with our design team to find the perfect custom graphic for your identity. 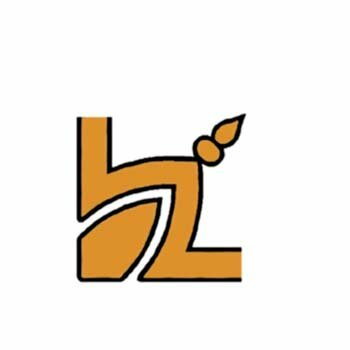 Bring your design or create one with our team. Whether we’re designing an overall look from scratch or updating an existing look, our knowledgeable design staff can work with you together to create a spectacular identity conveying all the tradition, pride, and service that will make you proud. Contact us today for more information on how we make your image our concern! 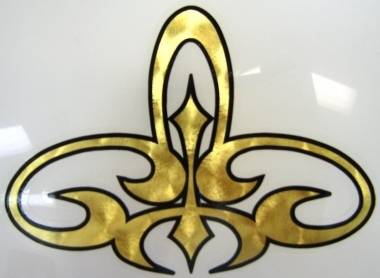 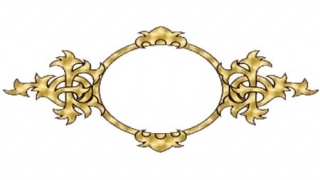 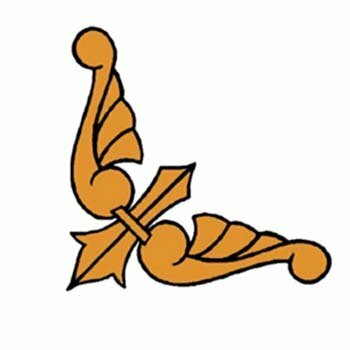 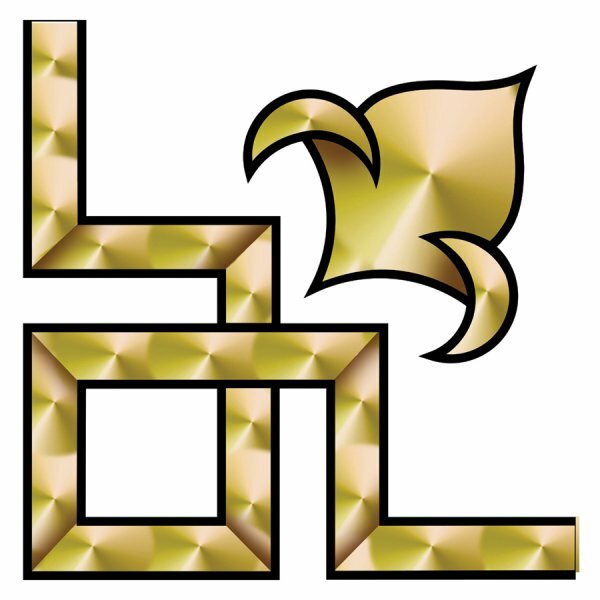 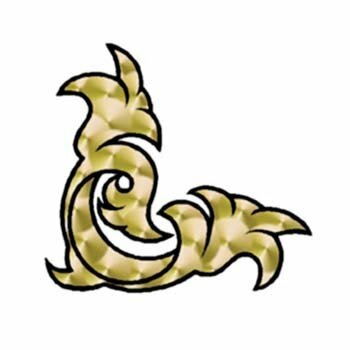 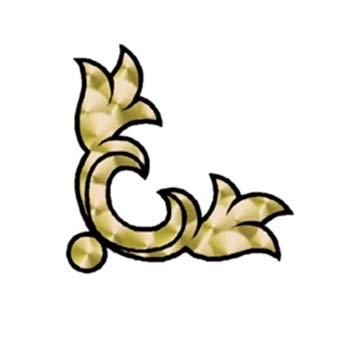 12kt Gold Leaf is a hand laid genuine white gold leaf product produced on 2 mil vinyl. 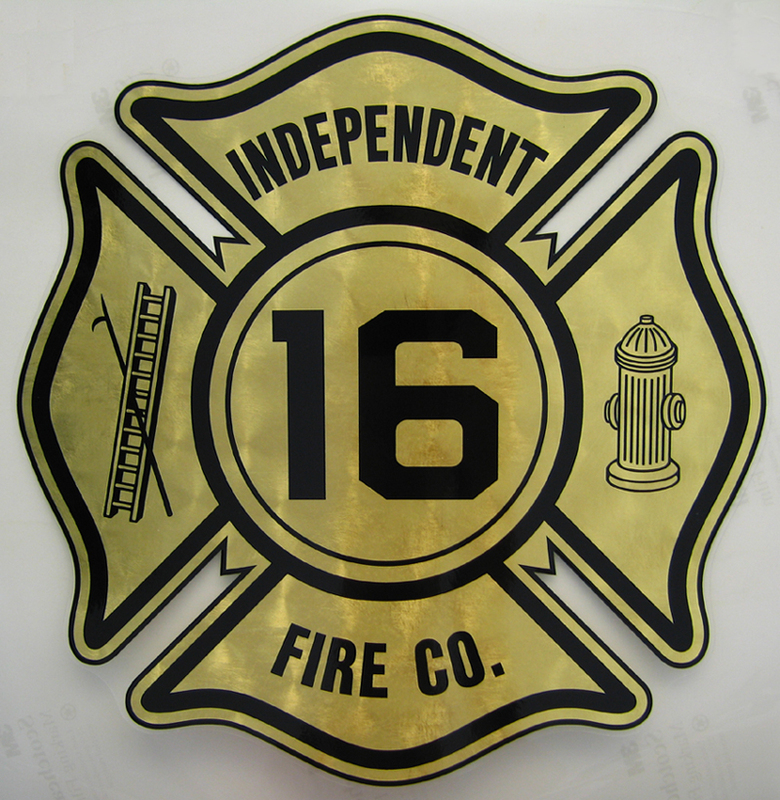 Accents are printed and/or painted and laminated for protection and cut with a clear border around the outer edge of the graphic. 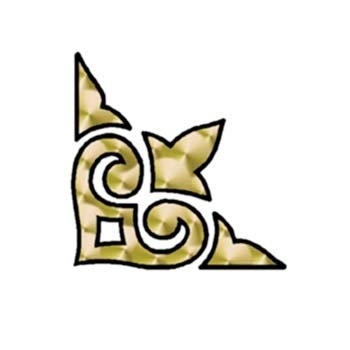 23kt Gold Leaf is a hand laid genuine yellow gold leaf product produced on 2 mil vinyl. 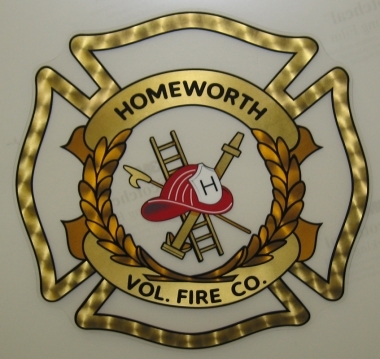 Accents are printed and/or painted and laminated for protection and cut with a clear border around the outer edge of the graphic. Coburn Gold is a calendar gold metalized polyester vinyl suitable for flat surface installations. 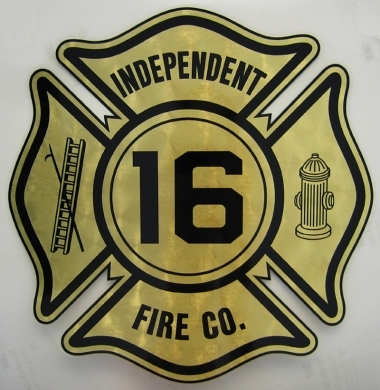 Accents are printed and/or painted and laminated for protection and cut with a clear border around the outer edge of the graphic. 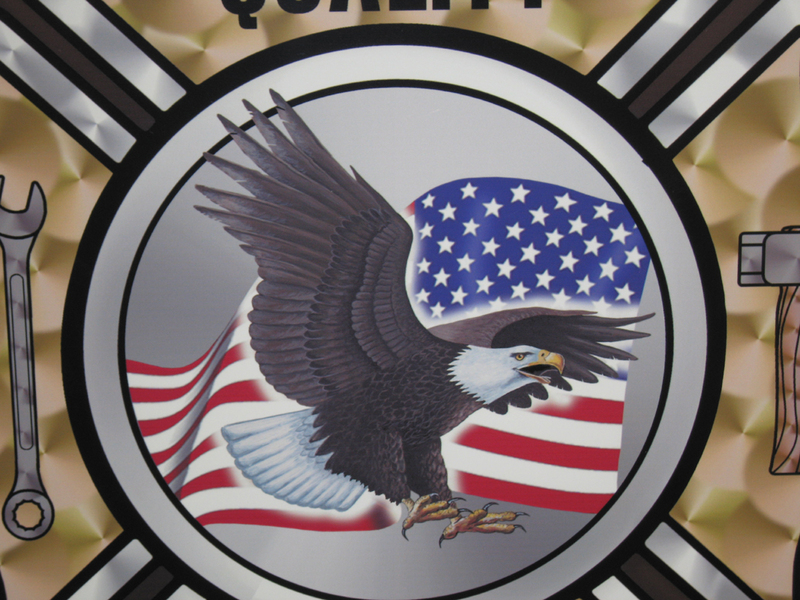 Coburn Silver is calendar silver metalized polyester vinyl suitable for flat surface installations. 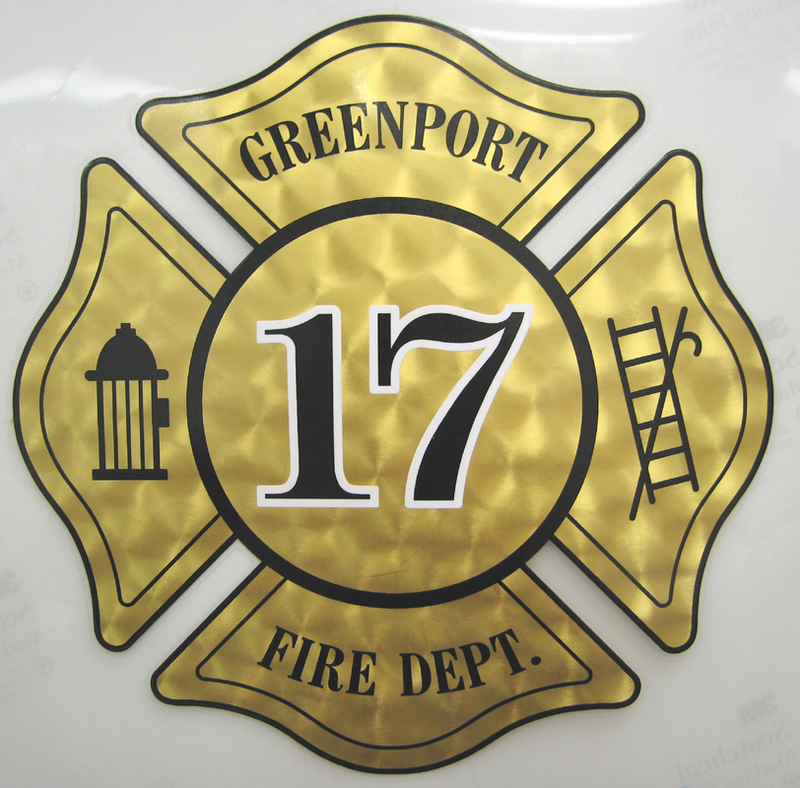 Accents are printed and/or painted and laminated for protection and cut with a clear border around the outer edge of the graphic. 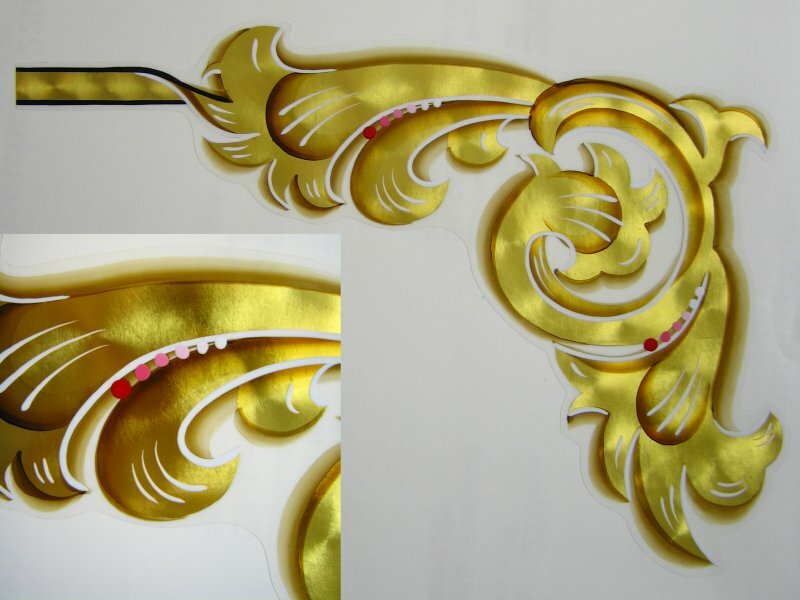 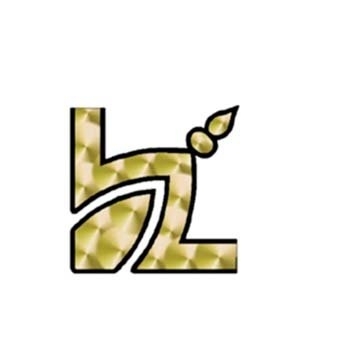 EZ Gold is a hand laid imitation gold leaf product produced on 2 mil vinyl. 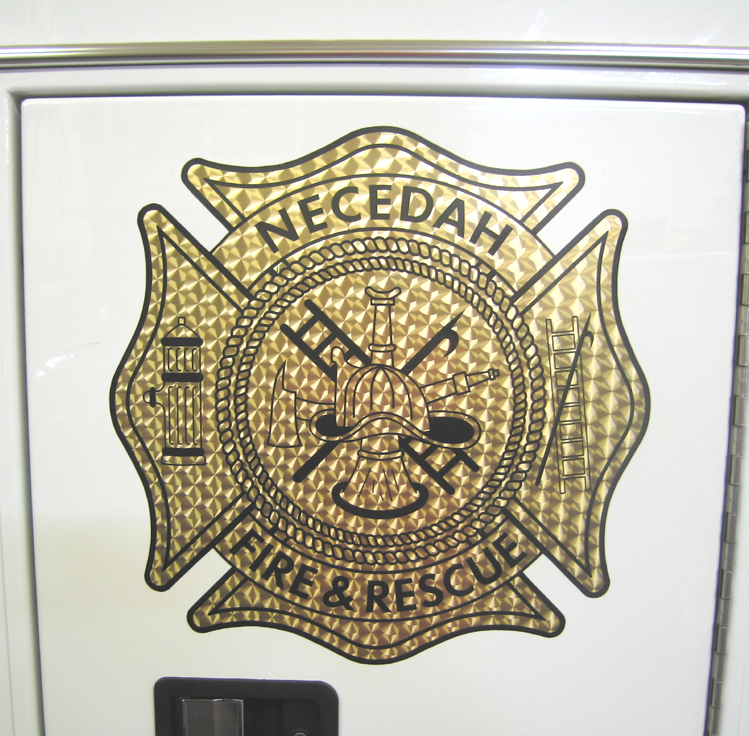 Accents are printed and/or painted and laminated for protection and cut with a clear border around the outer edge of the graphic. 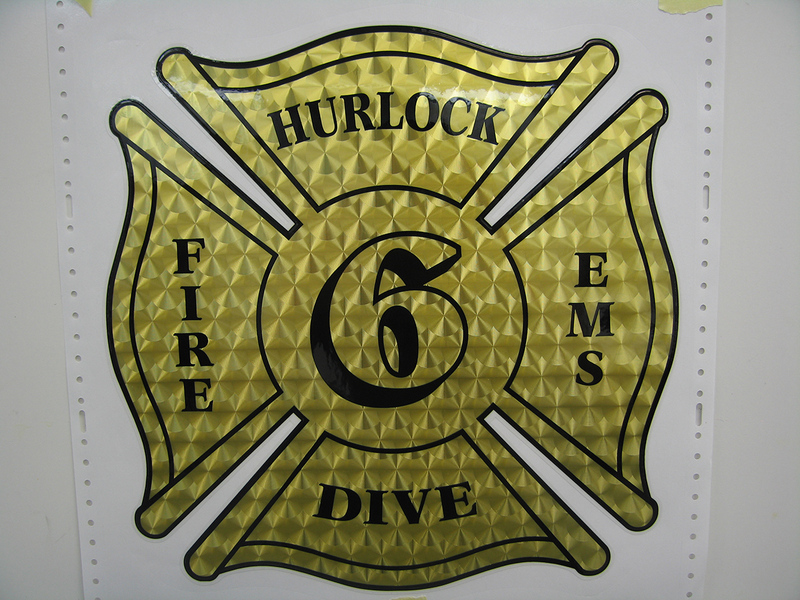 EZ Silver is a hand laid imitation silver leaf product produced on 2 mil vinyl. 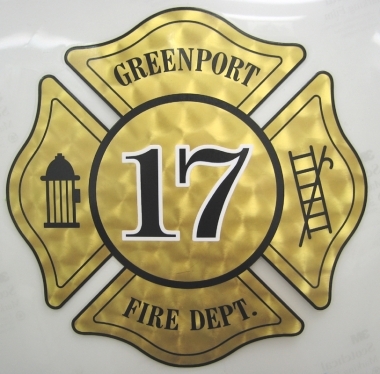 Accents are printed and/or painted and laminated for protection and cut with a clear border around the outer edge of the graphic. Reflective vinyl is a standard 3M 680 series vinyl that reflects in the dark when exposed to direct light (headlights). 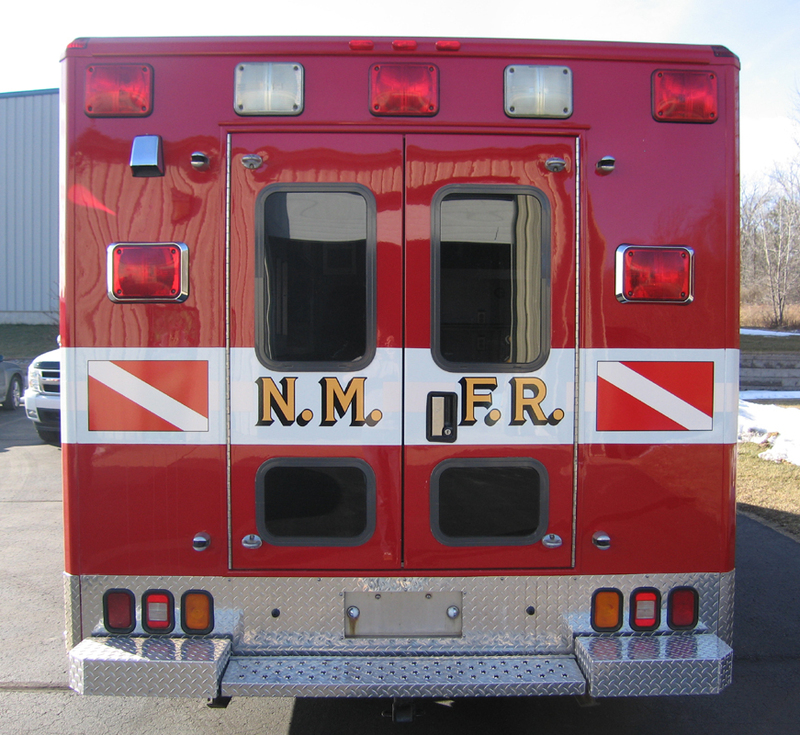 Accents are printed and/or painted and laminated for protection. 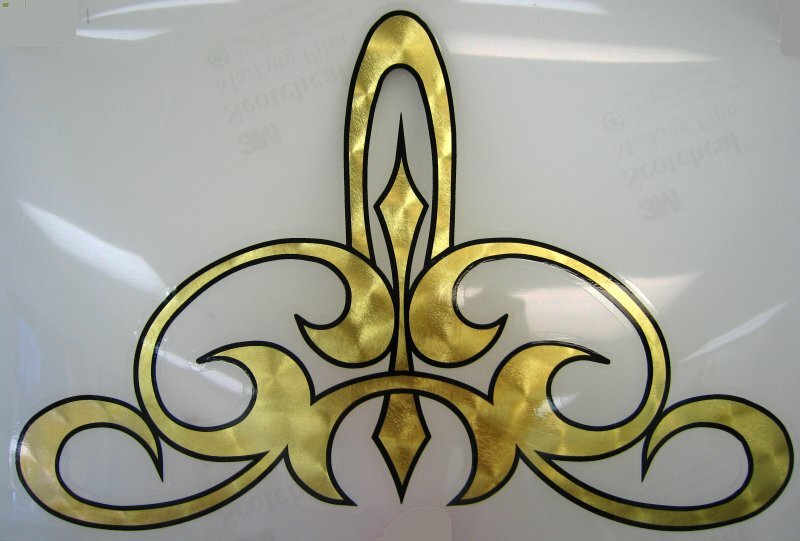 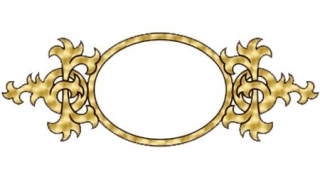 SignGold is a Genuine 22kt gold adhered to a Tedlar vinyl through a type of plating process. 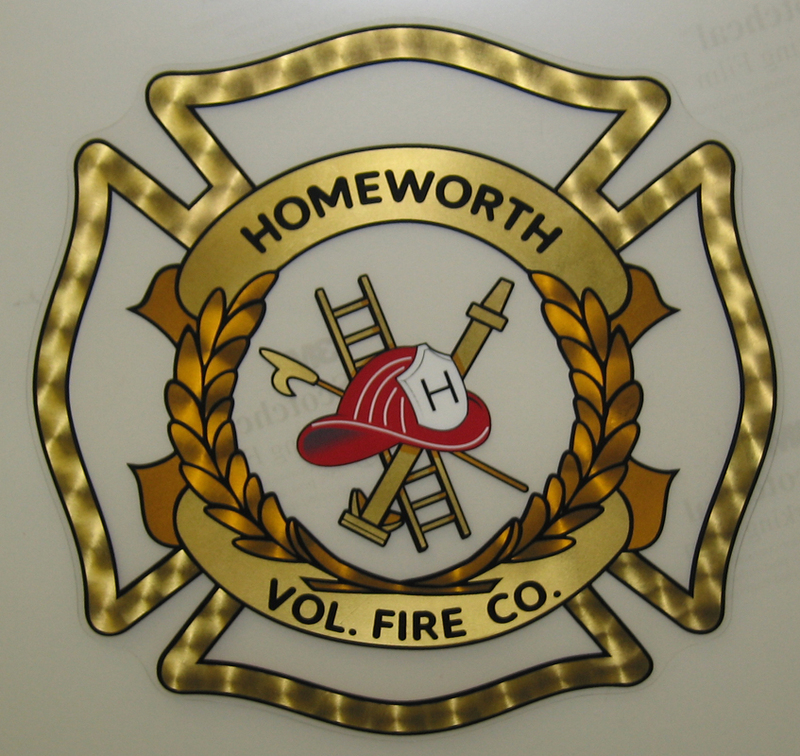 Accents are printed and/or painted and laminated for protection and cut with a clear border around the outer edge of the graphic. 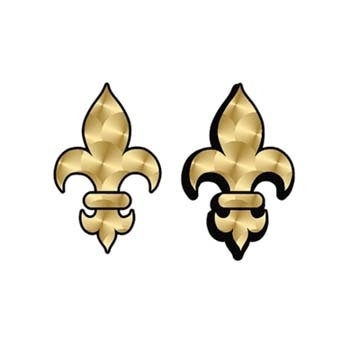 Available only in gold. 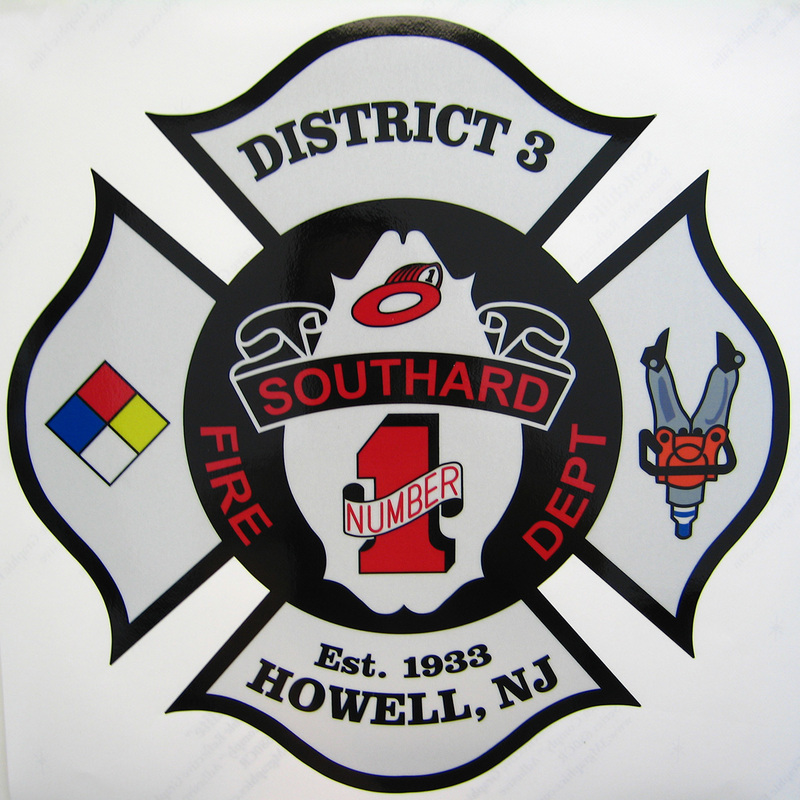 Our Vinyl is a standard 3M 220 series vinyl. Accents are printed and/or painted and laminated for protection. RJ Marx Custom Graphics Inc. Copyright © 2019, RJ Marx Incorporated. All Rights Reserved. 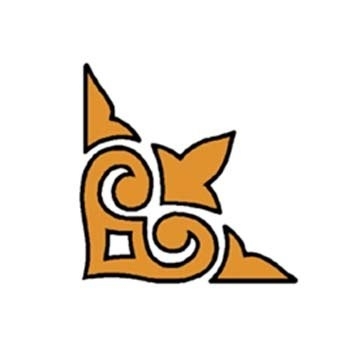 Website By American Creative.